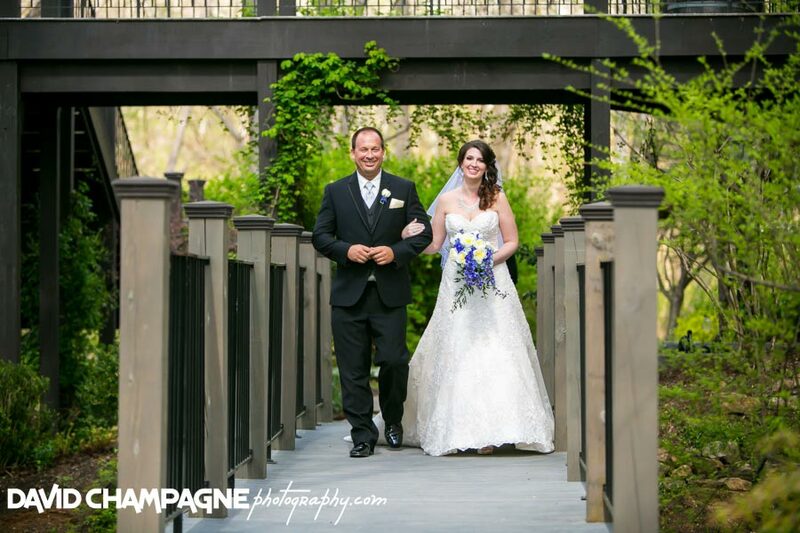 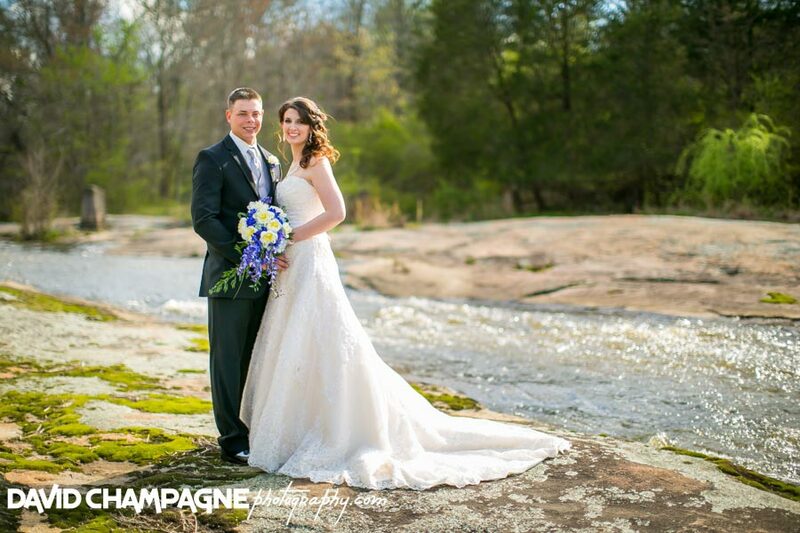 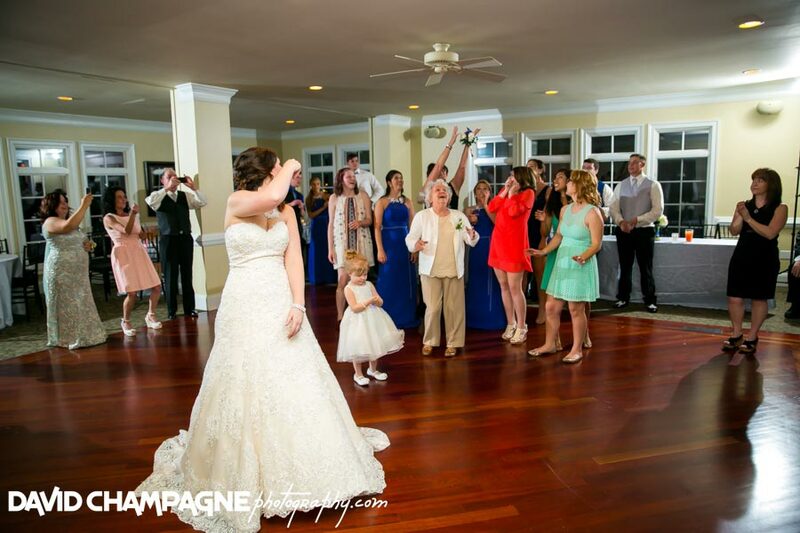 Danielle and Darin had their wedding at reception at the beautiful Mill at Fine Creek in Powhatan, Virginia near Richmond. 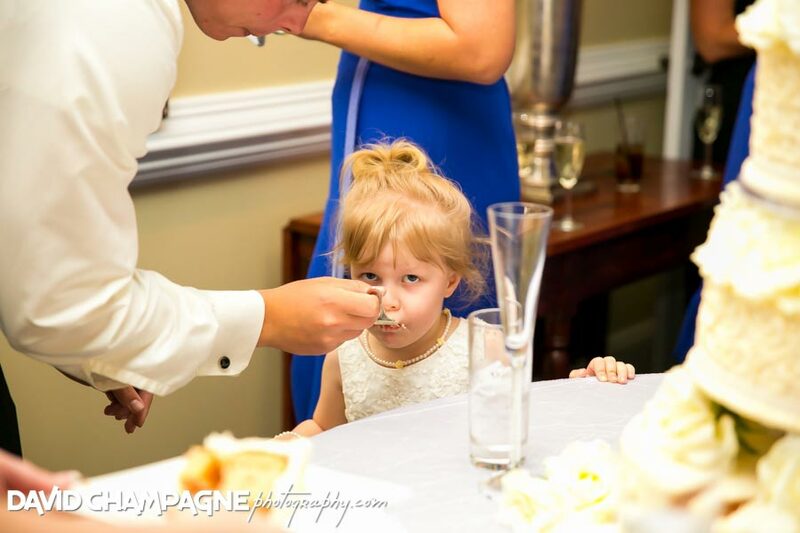 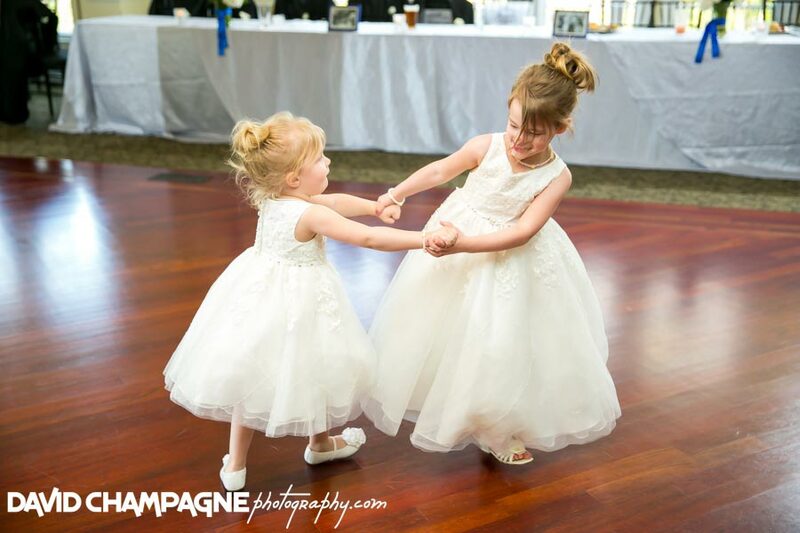 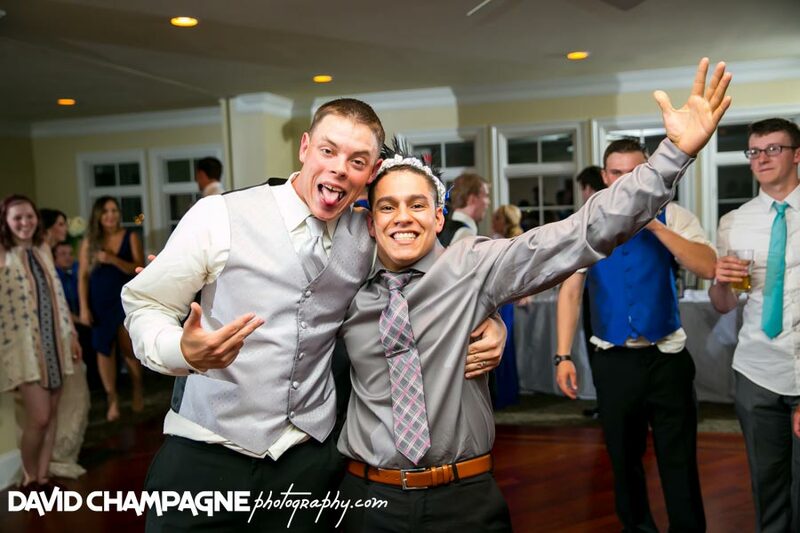 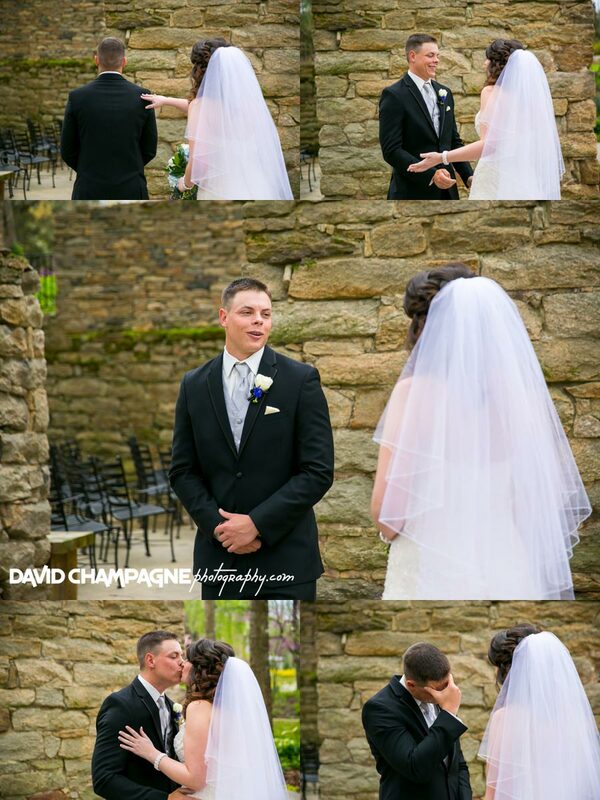 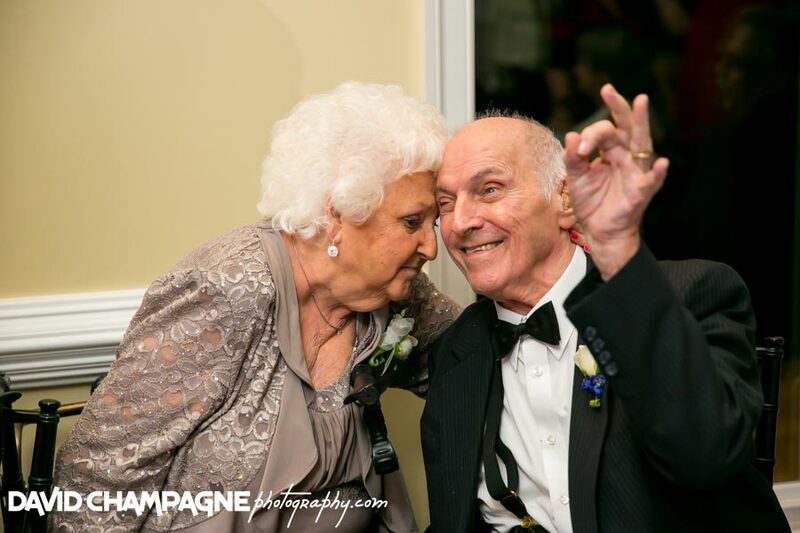 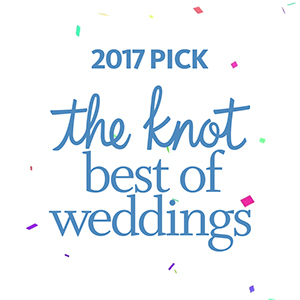 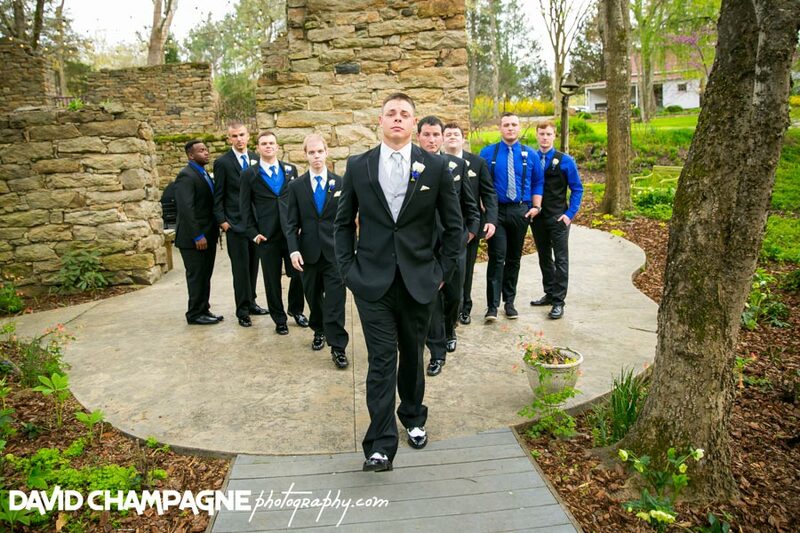 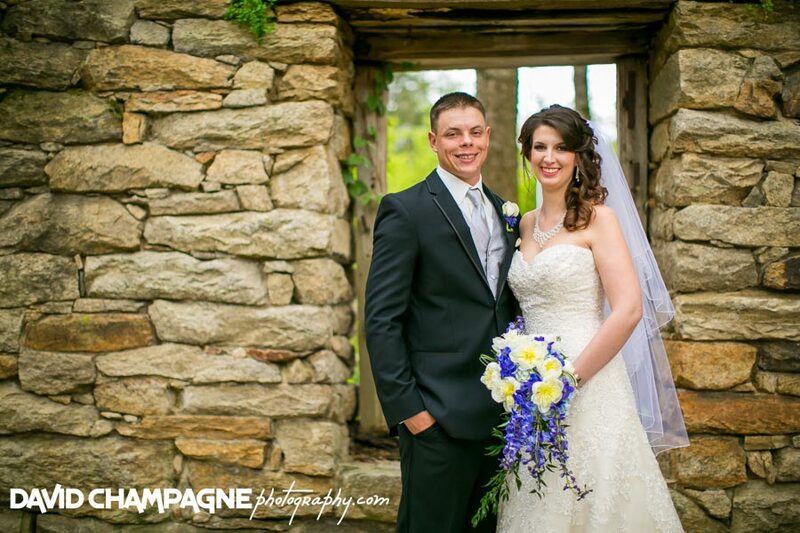 Check out the following links to view their Wedding Slideshow, Online Gallery. 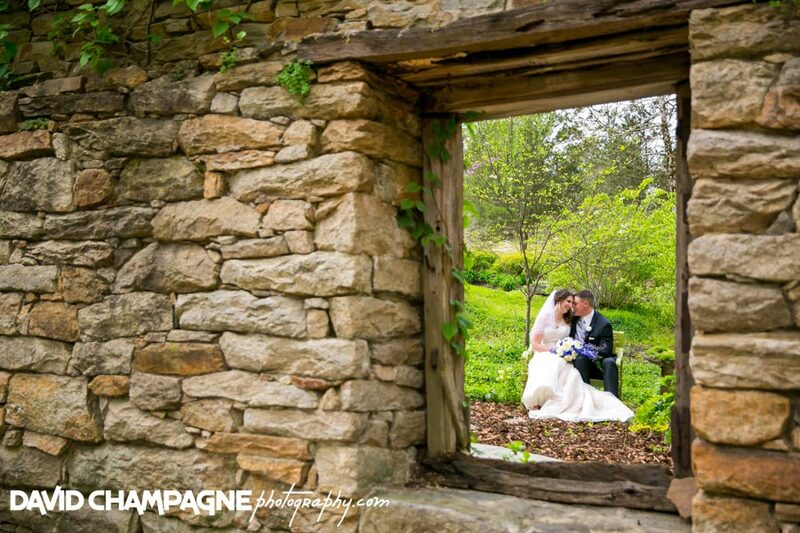 Also, check out their Facebook Post in a new window and feel free to leave comments! 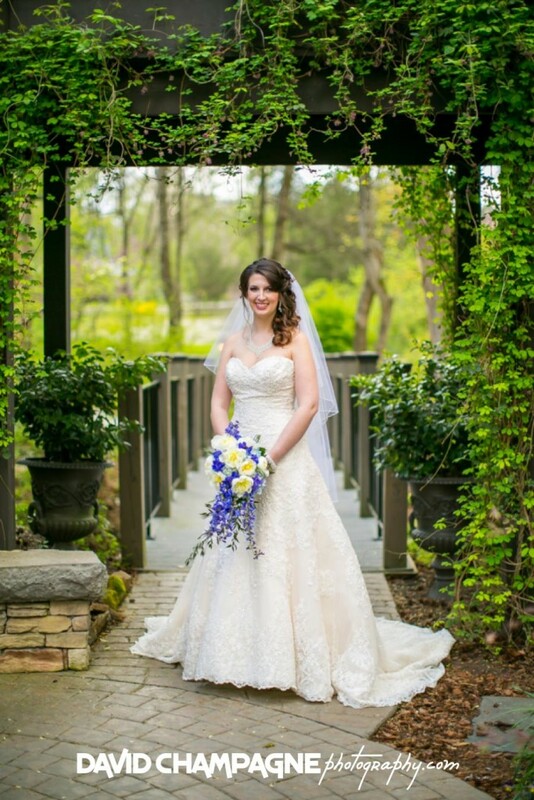 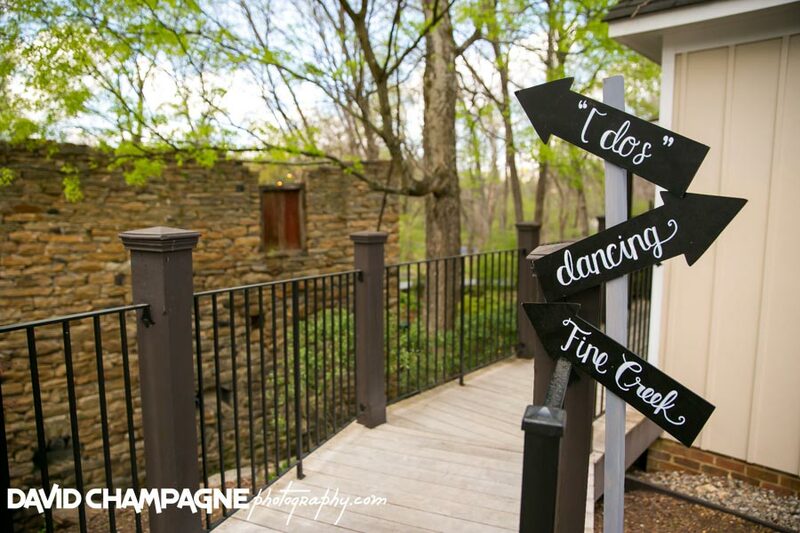 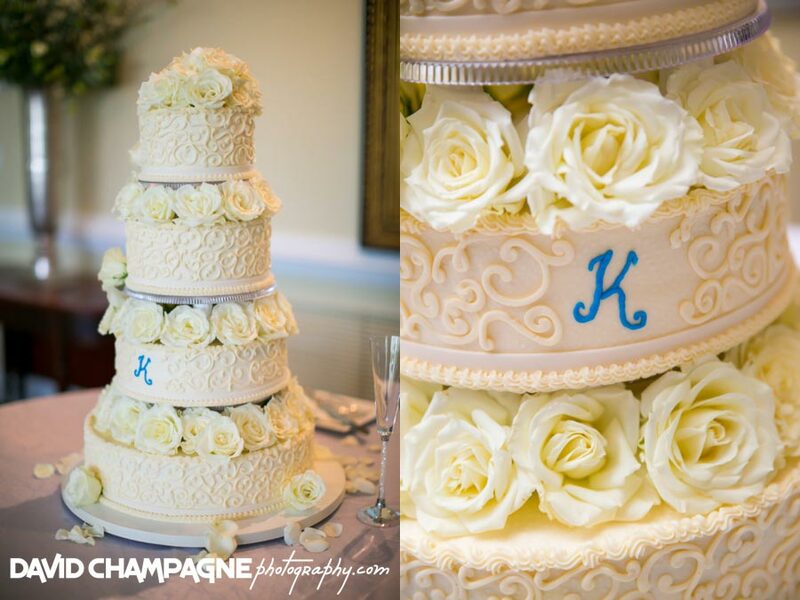 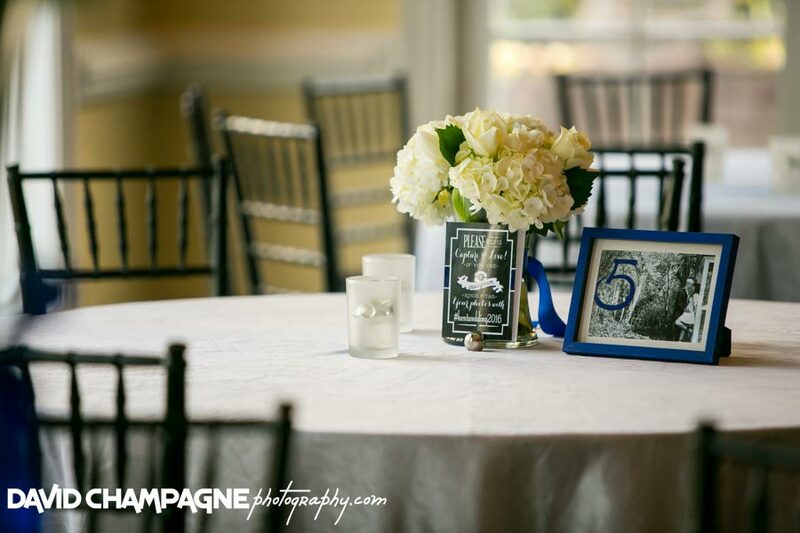 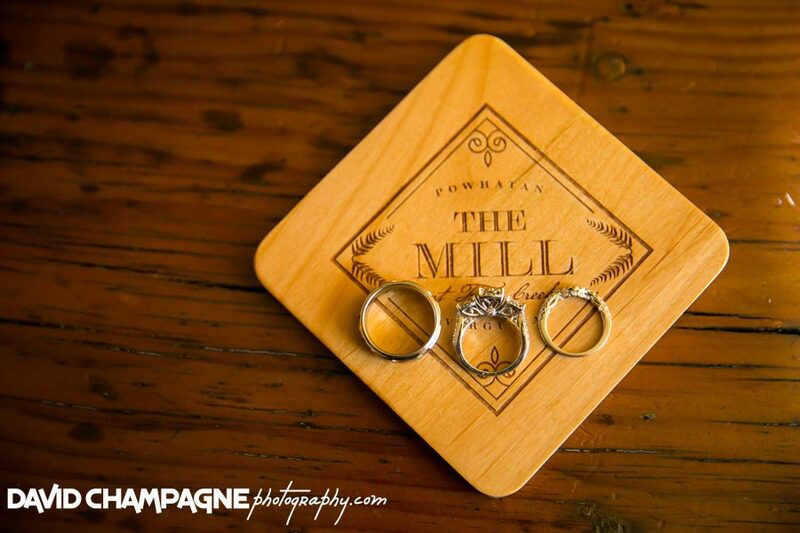 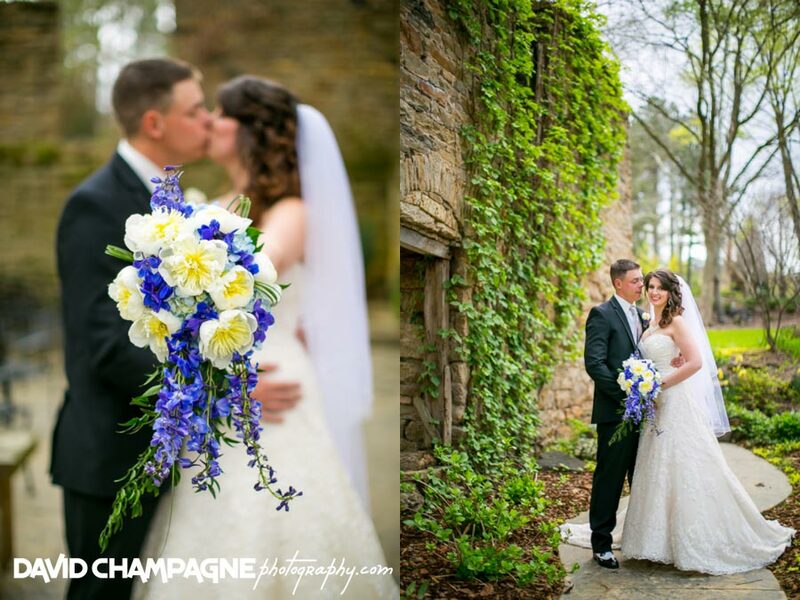 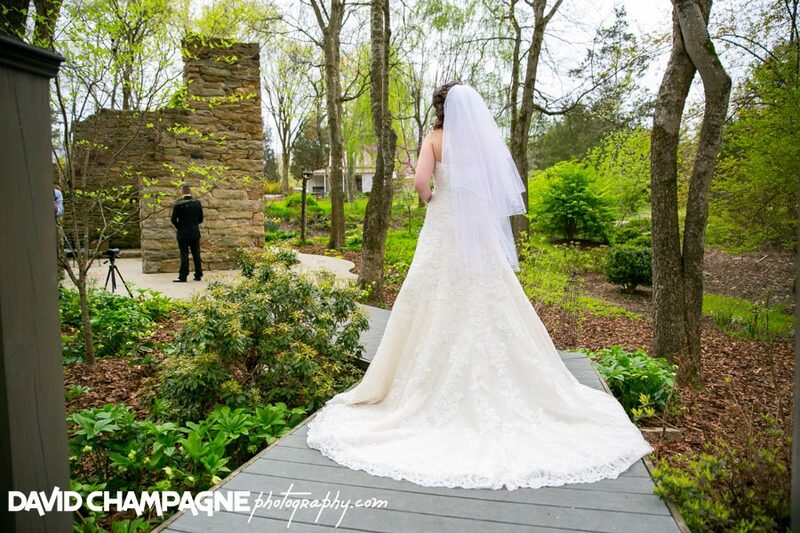 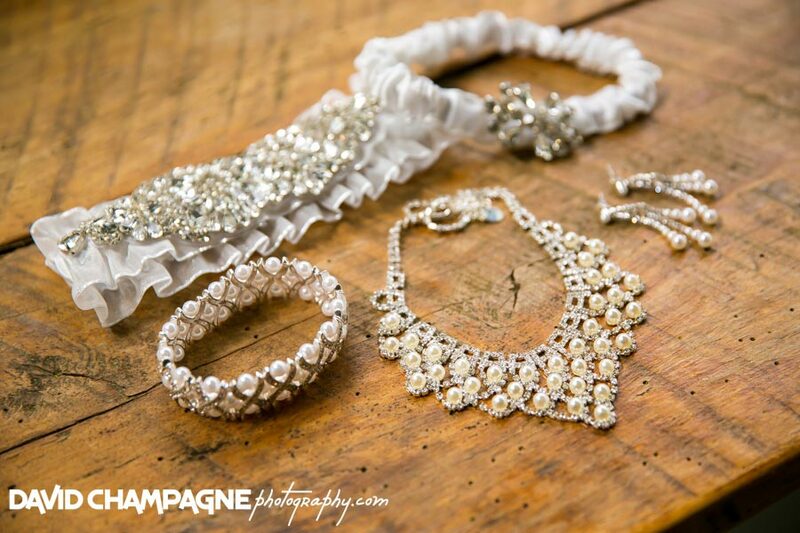 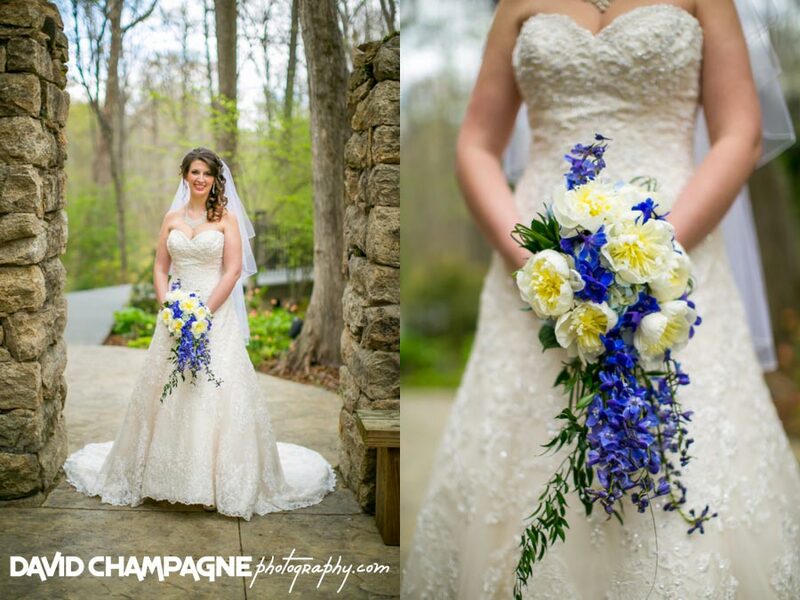 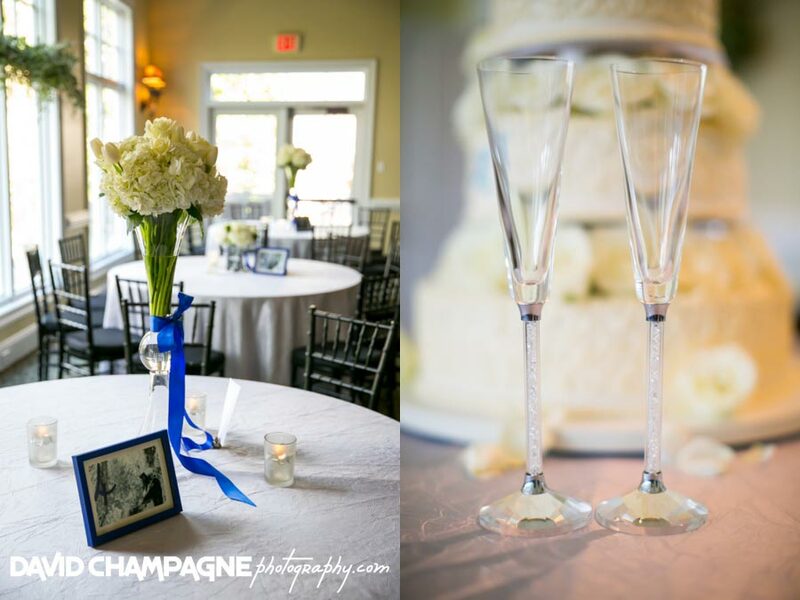 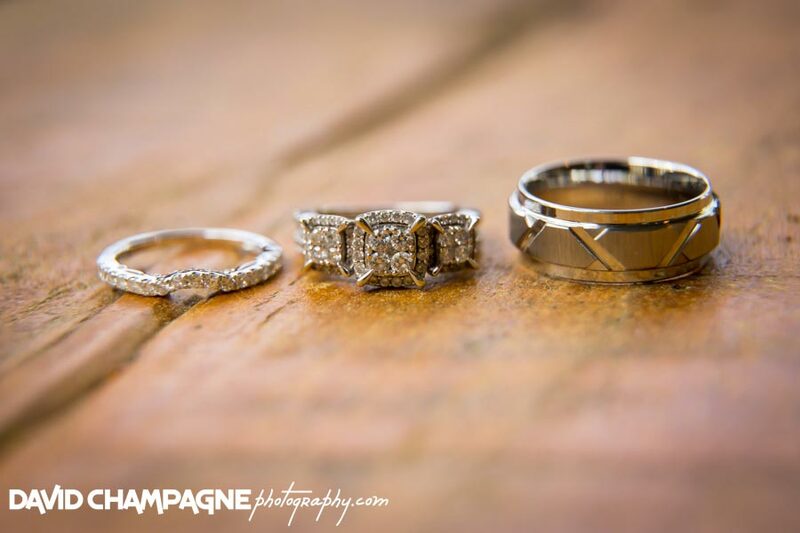 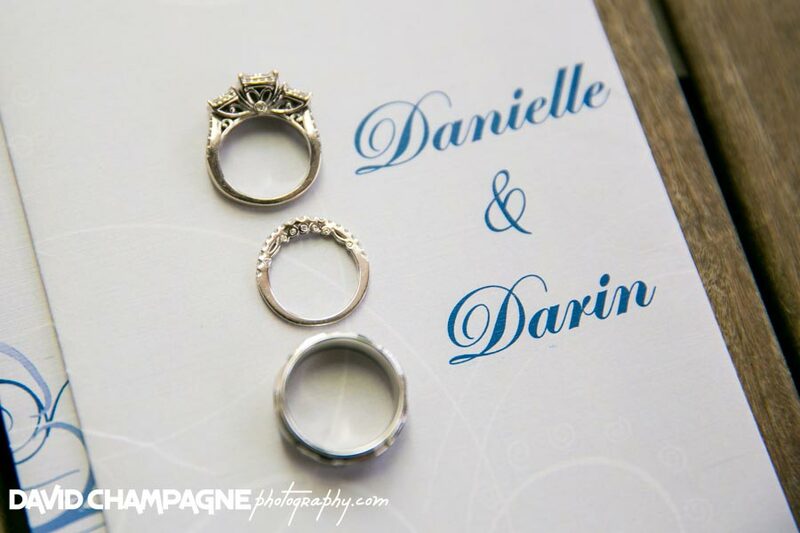 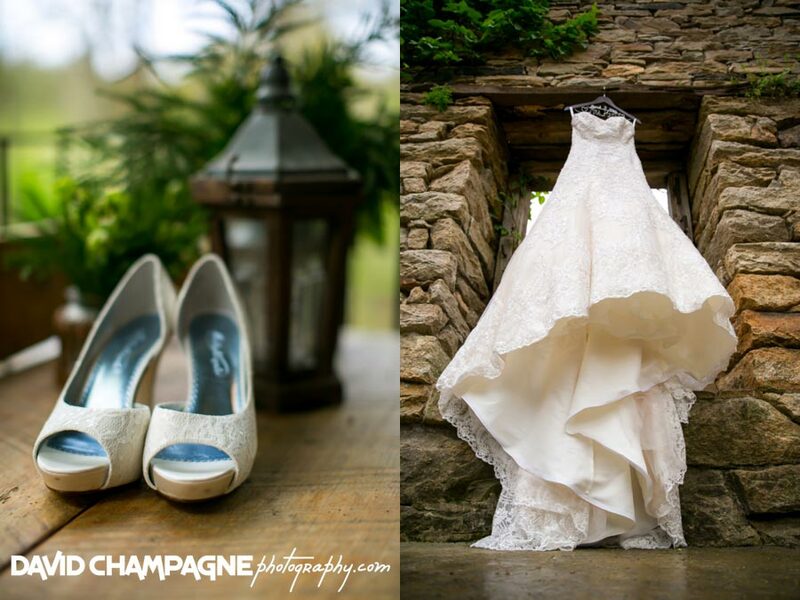 Danielle and Darin had so many unique details at their Mill at Fine Creek wedding. 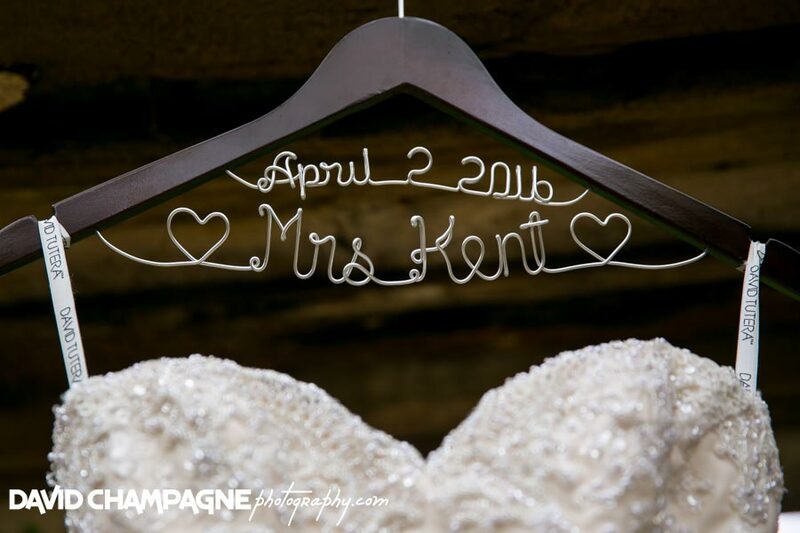 The bride had a custom wedding hanger for her wedding dress. 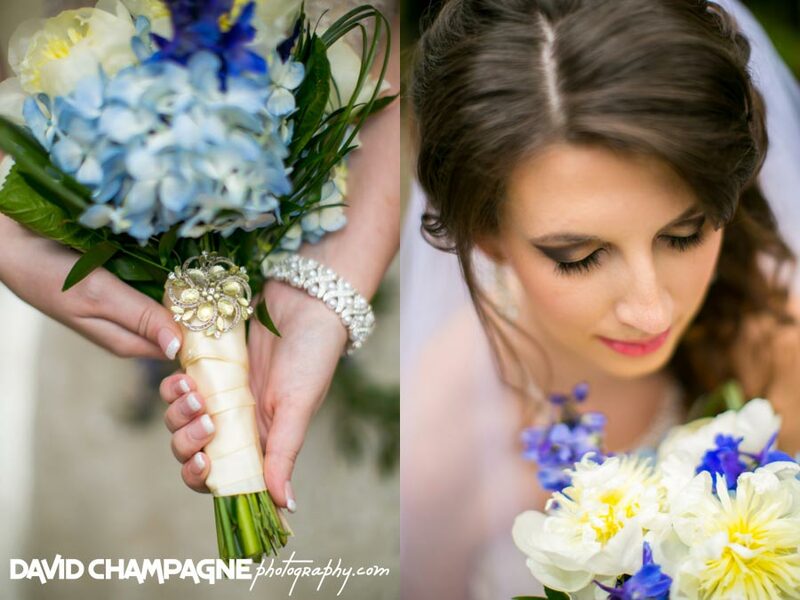 Also, an heirloom broach for the bride’s bouquet. 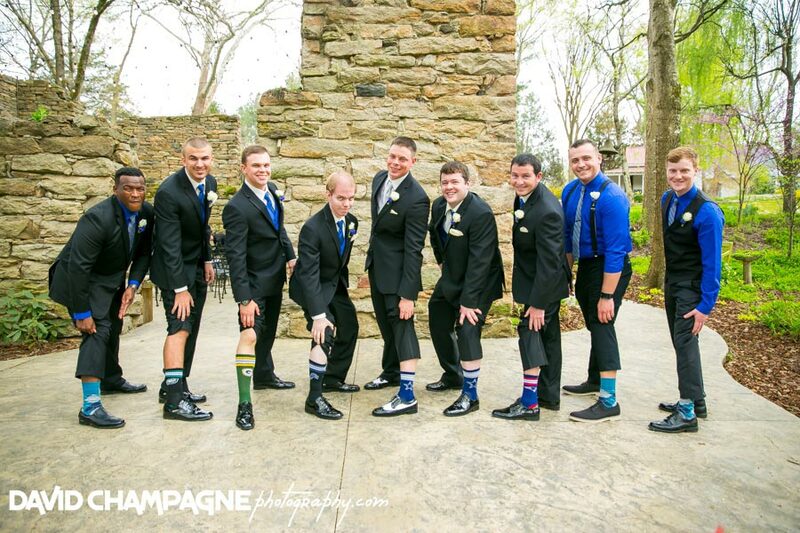 Furthermore, the groomsmen wore custom socks. 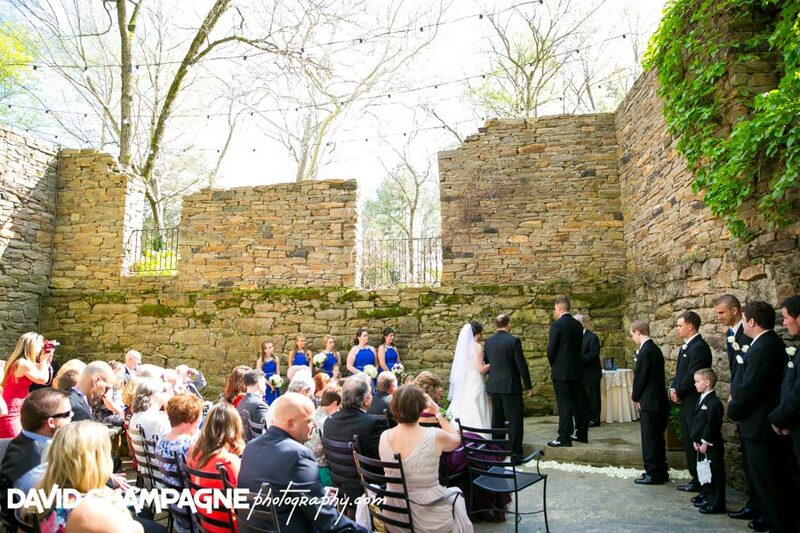 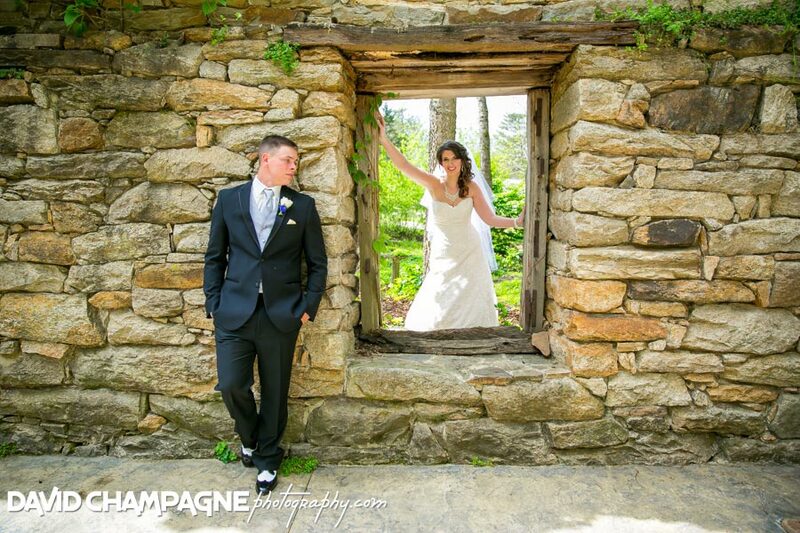 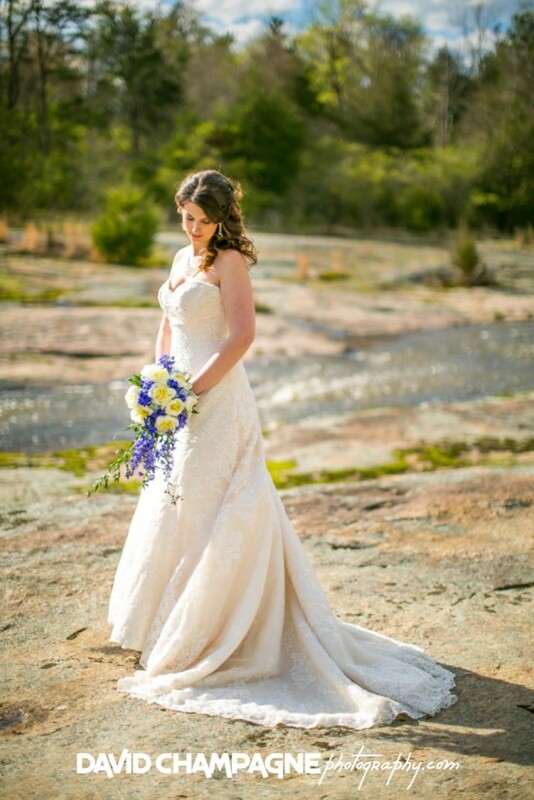 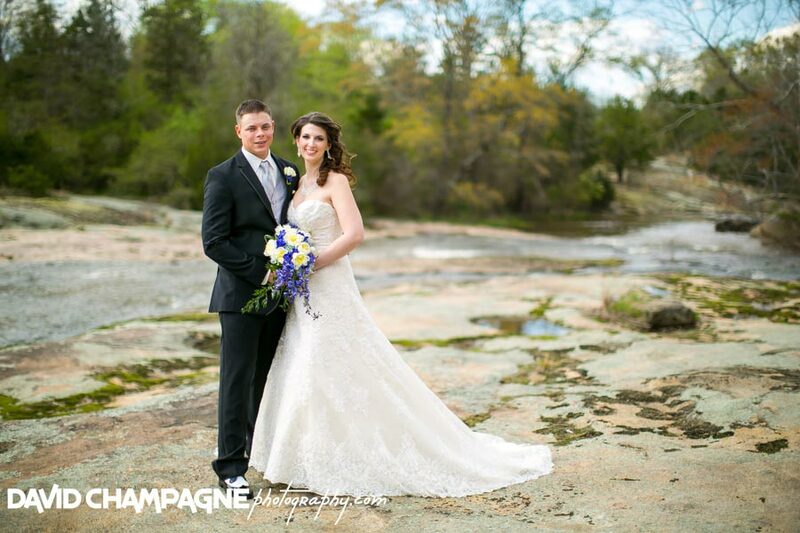 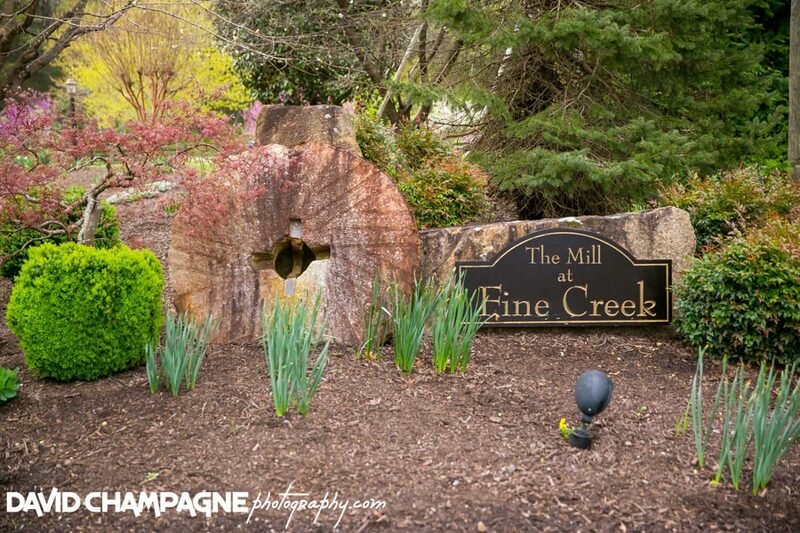 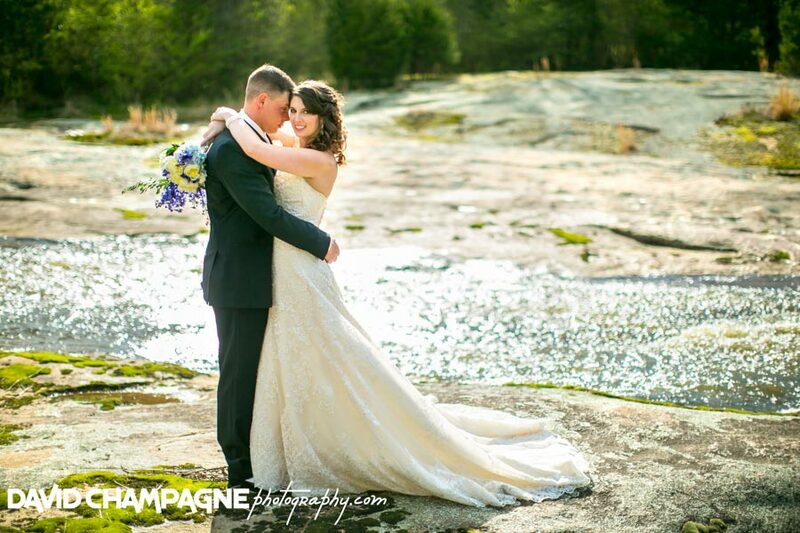 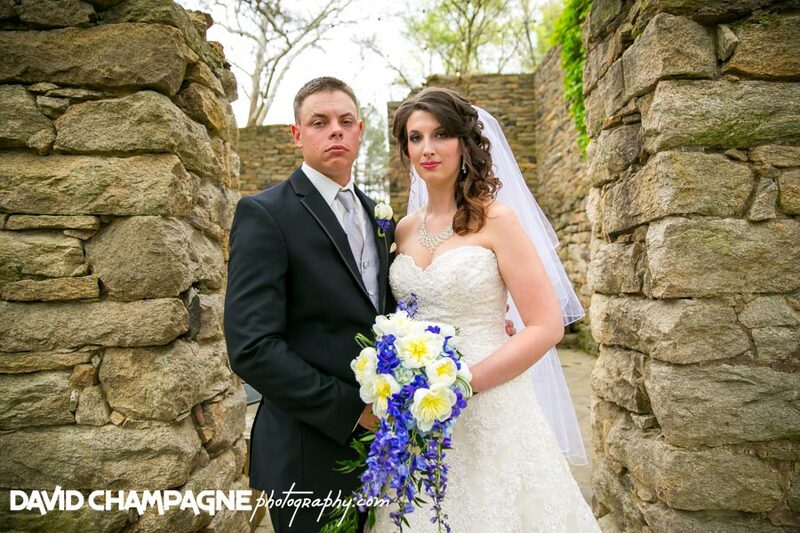 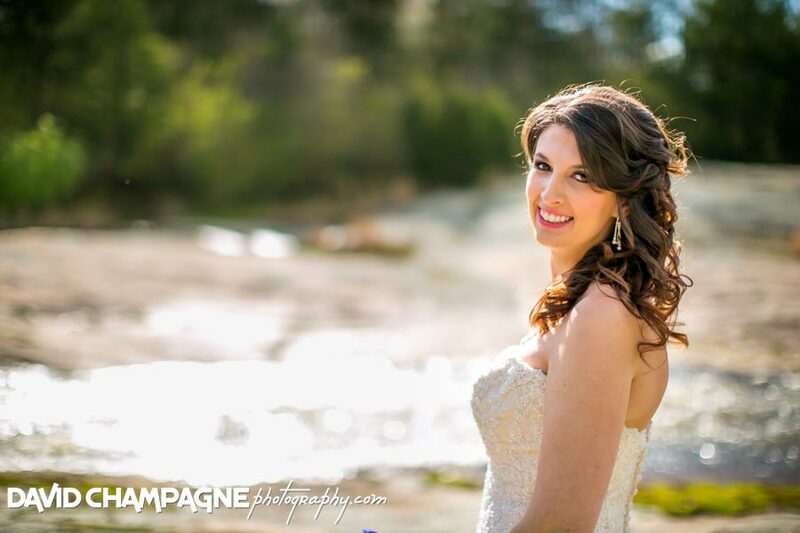 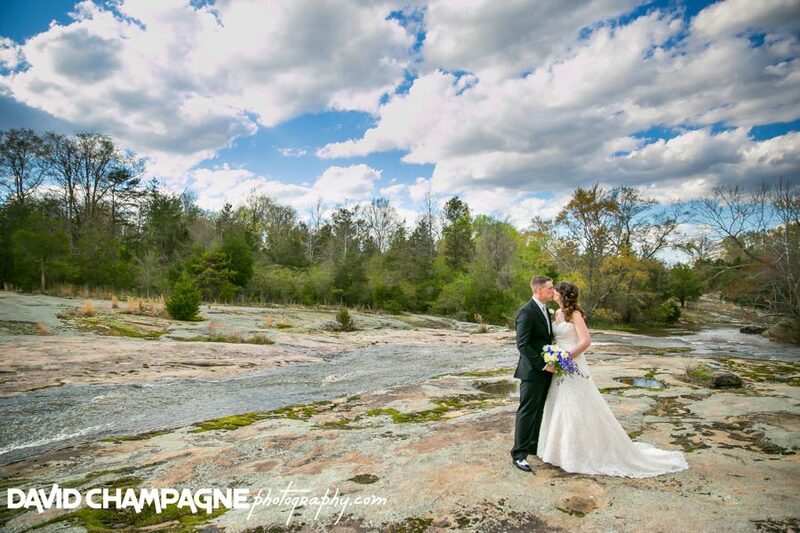 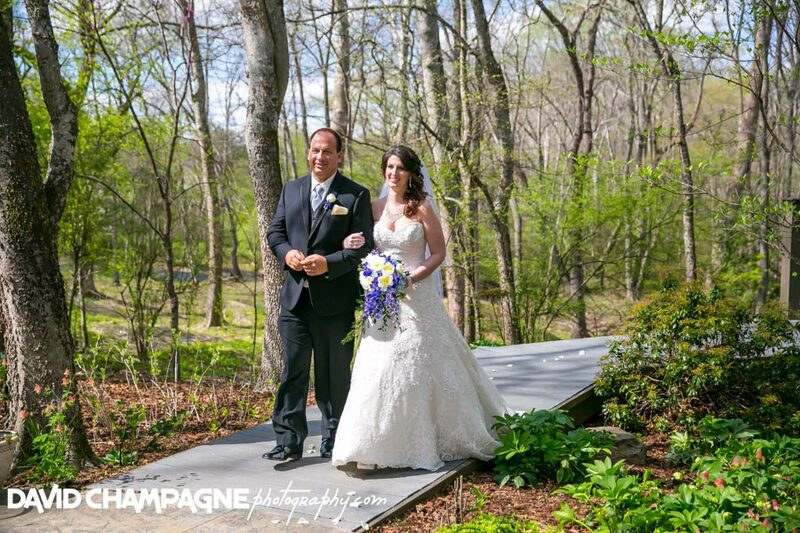 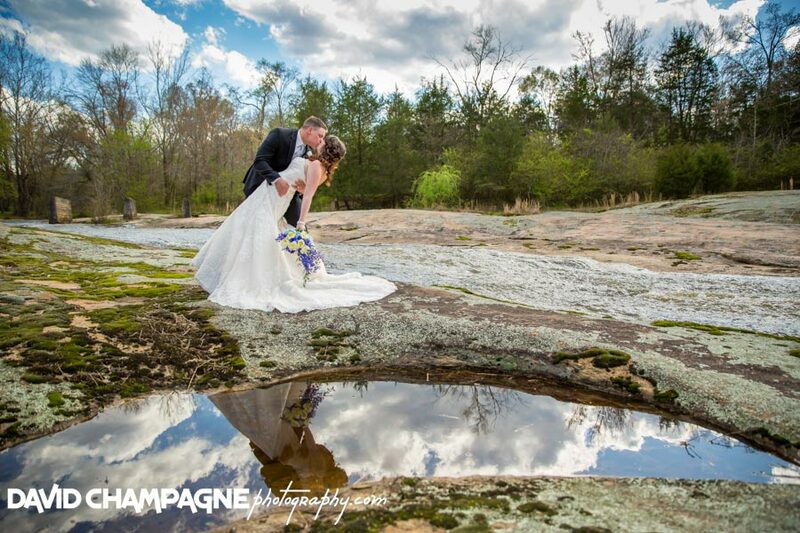 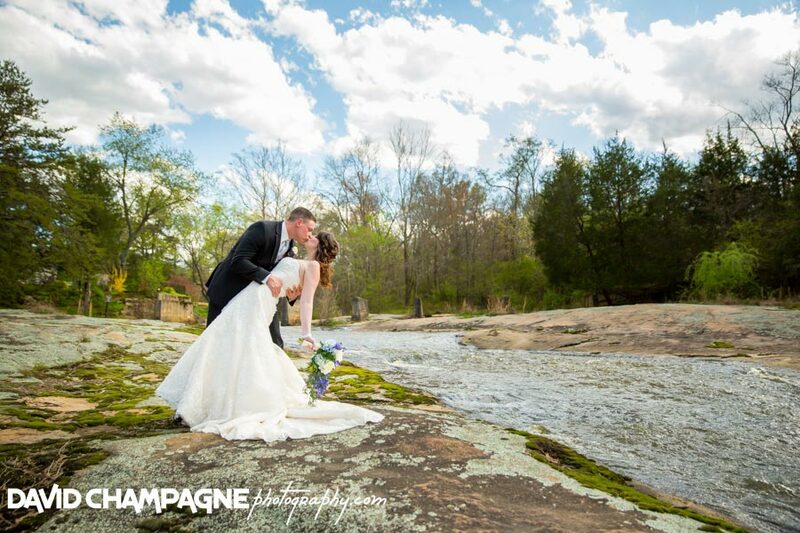 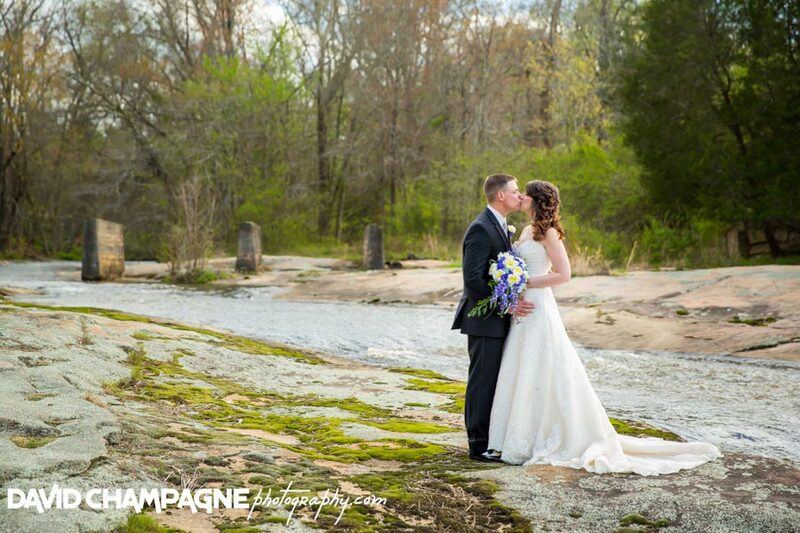 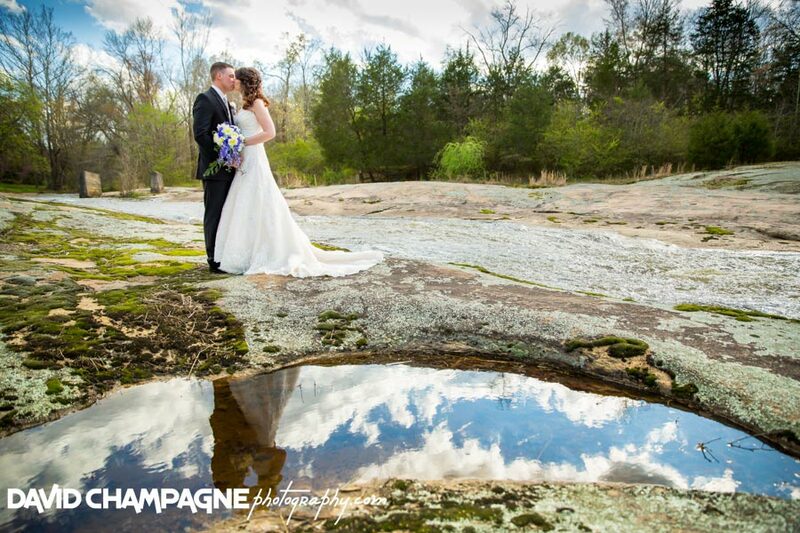 We also took beautiful wedding photos at the creek on the rocks. 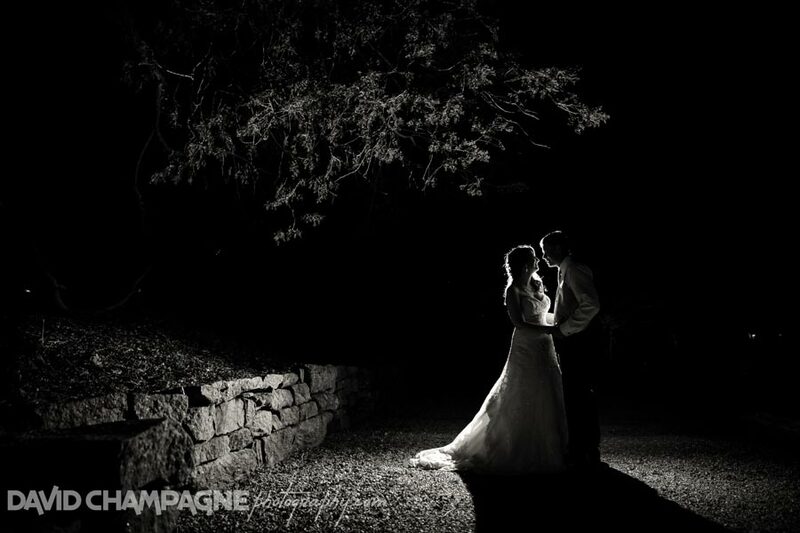 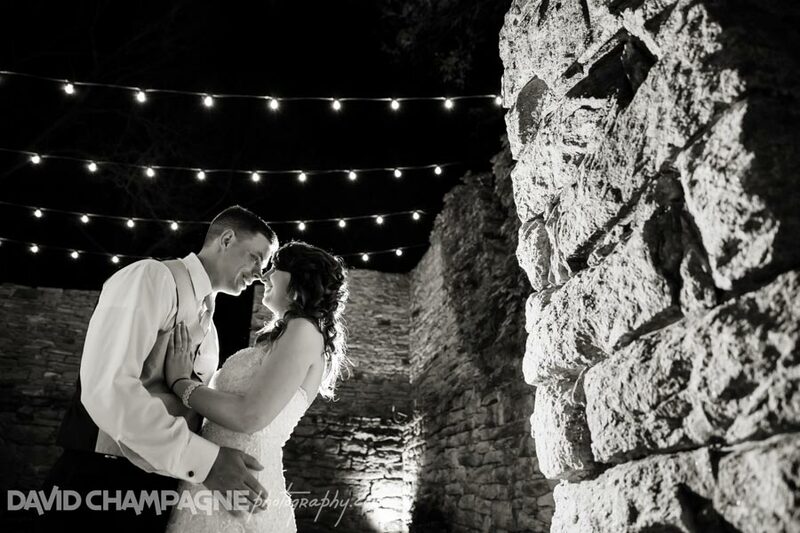 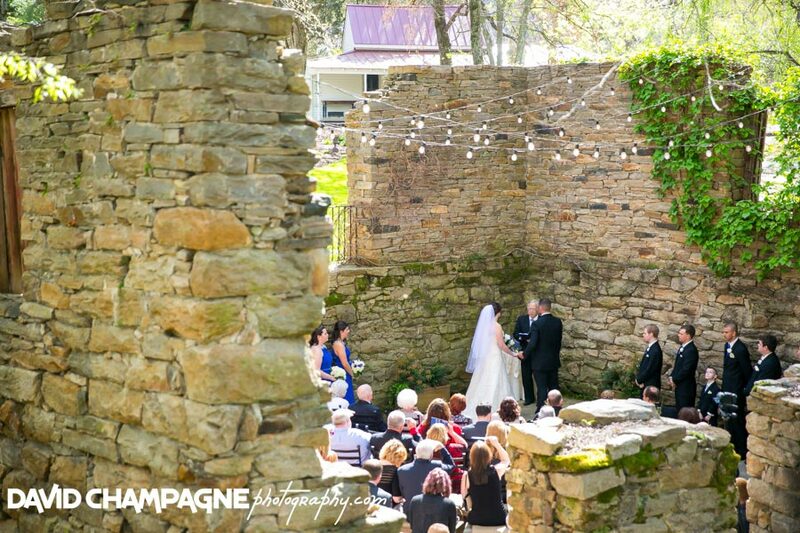 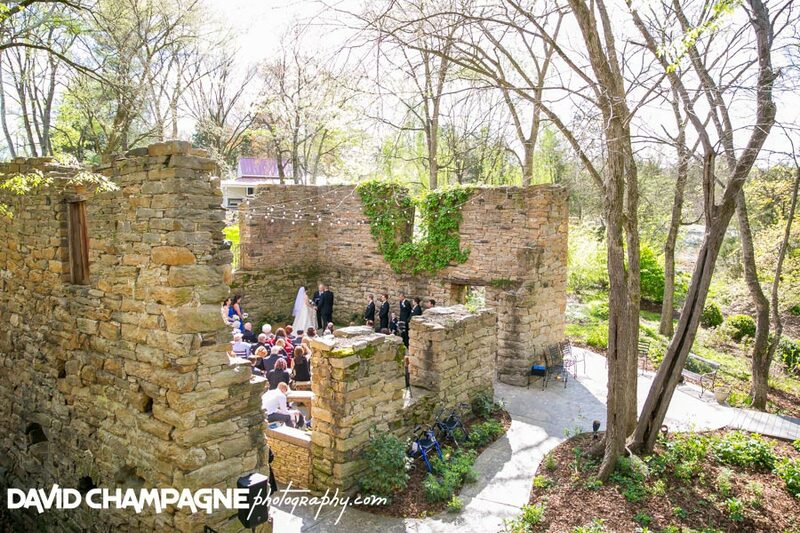 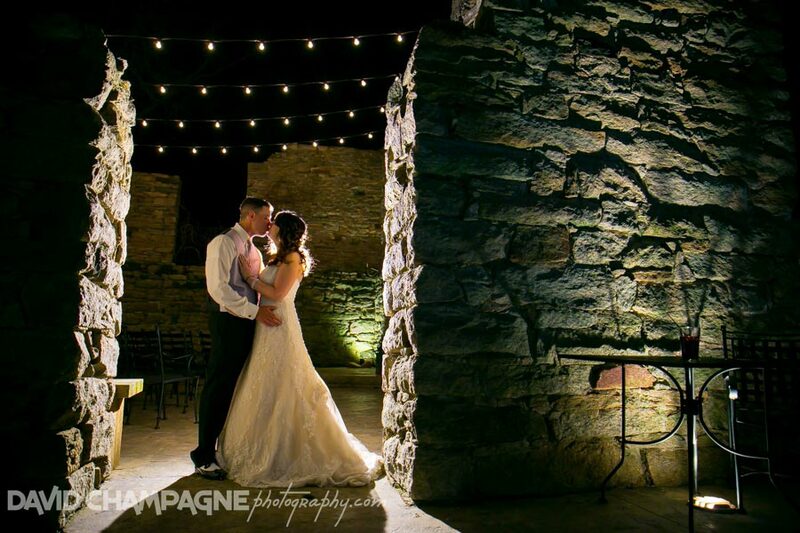 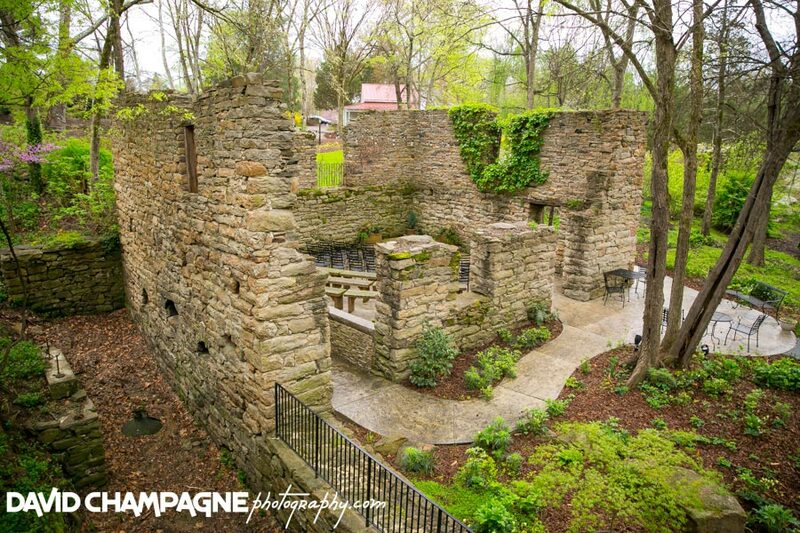 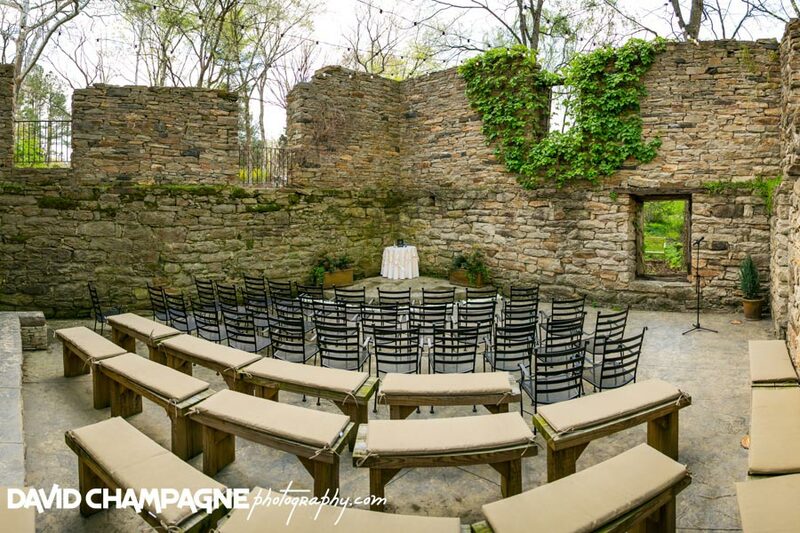 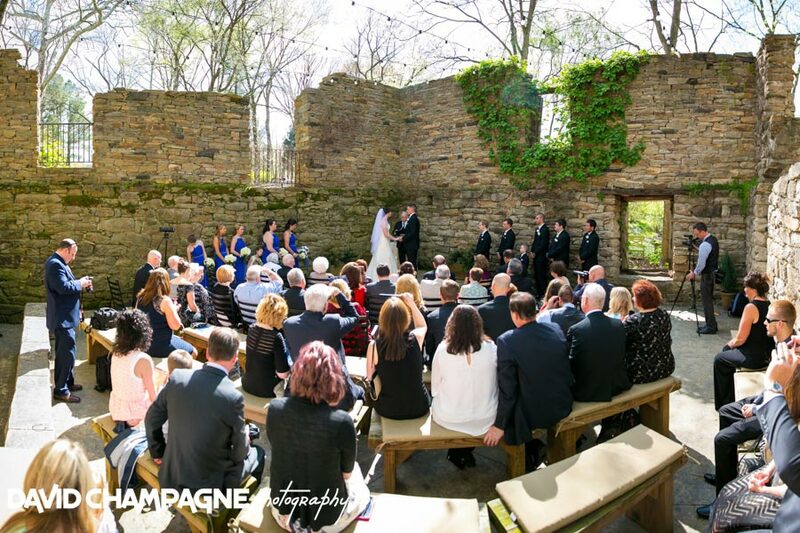 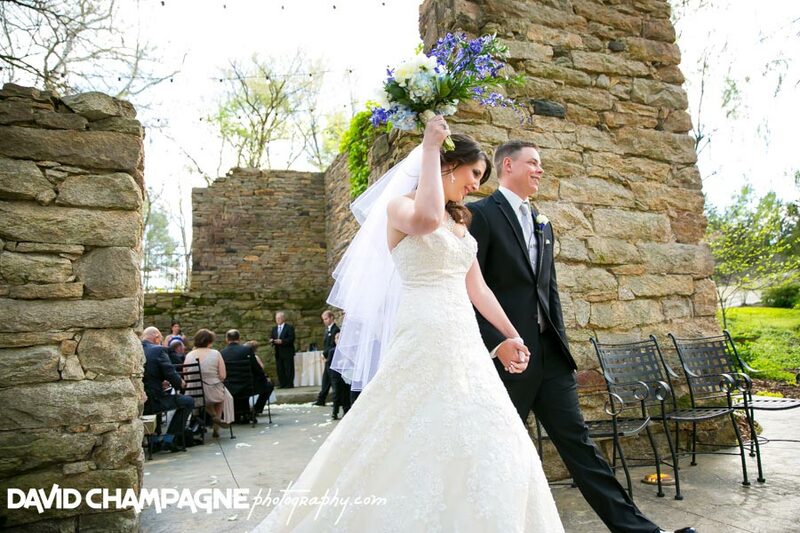 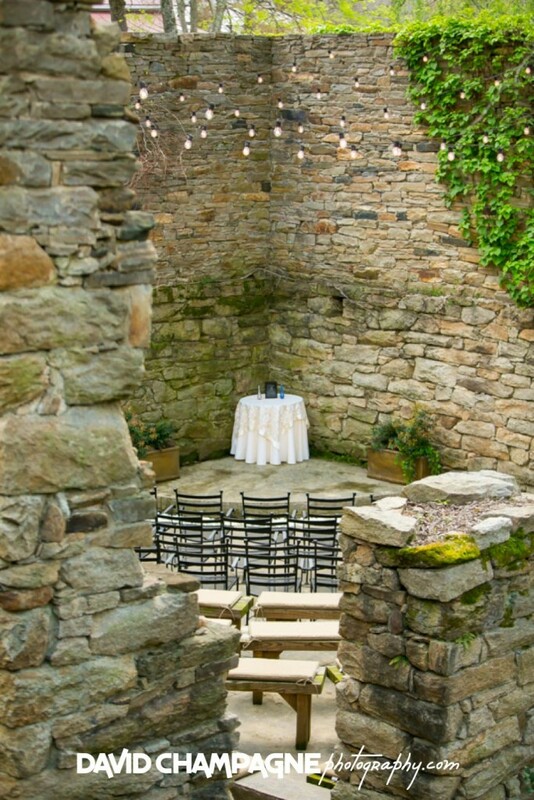 The bride and groom went outside during the wedding reception and took stunning night photography shots in the ruins at the Mill at Fine Creek. 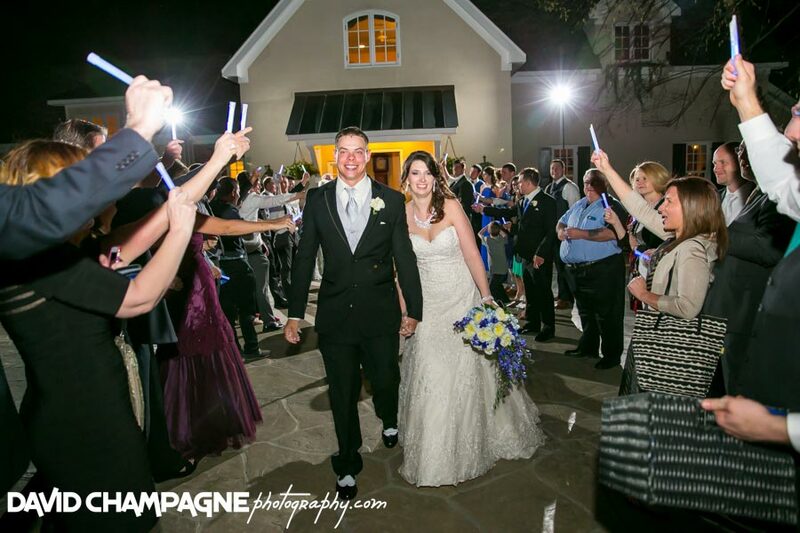 At the end of the evening, the bride and groom had a glow stick grand exit! 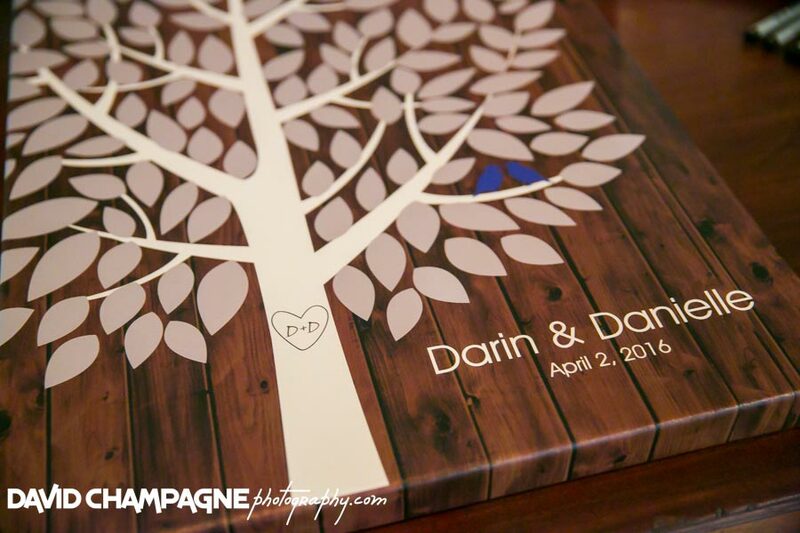 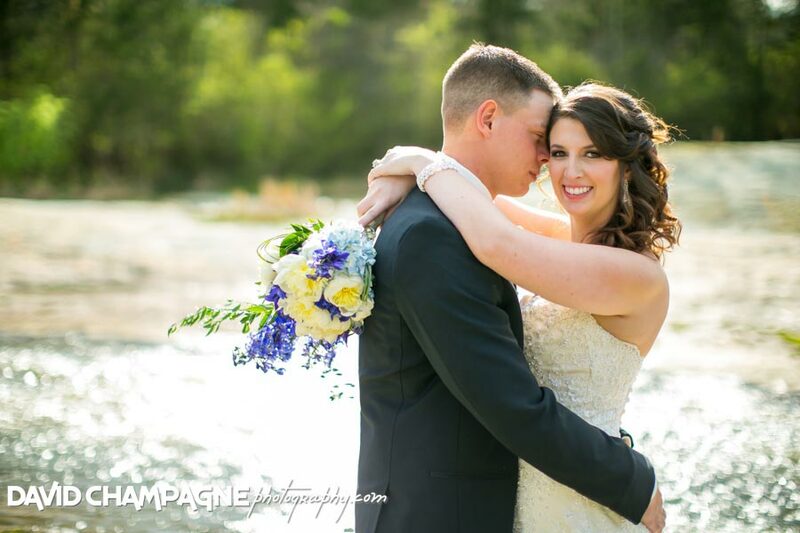 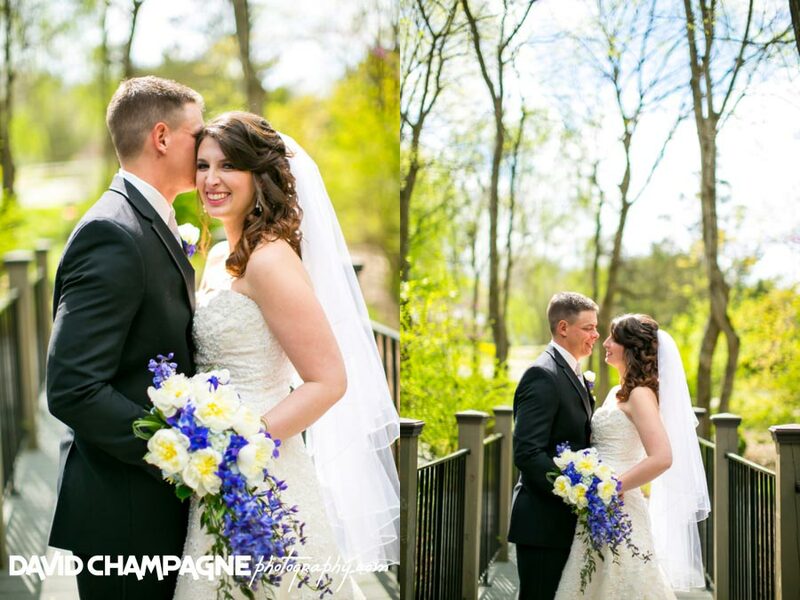 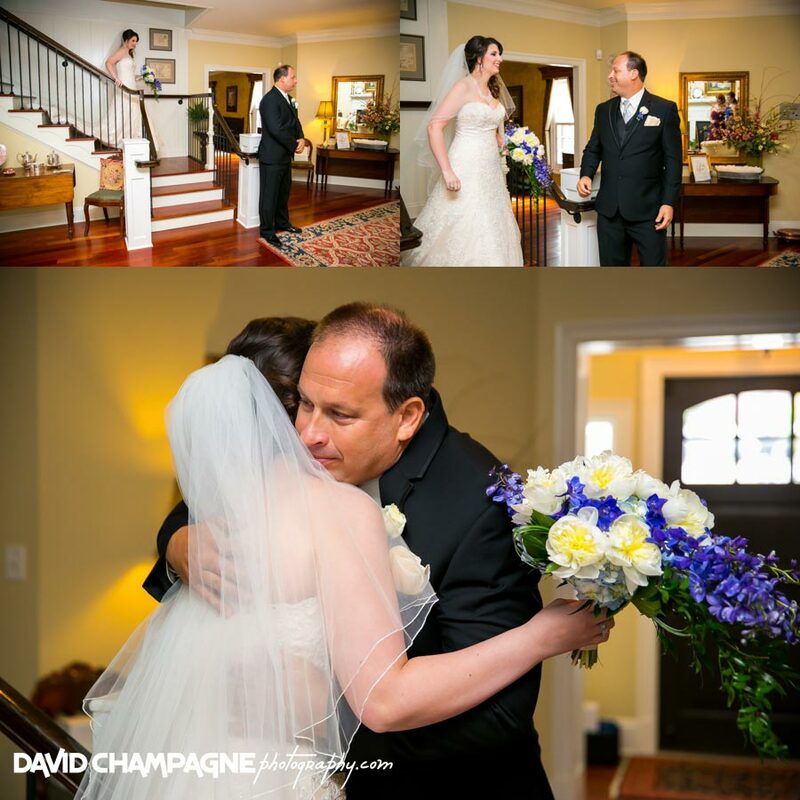 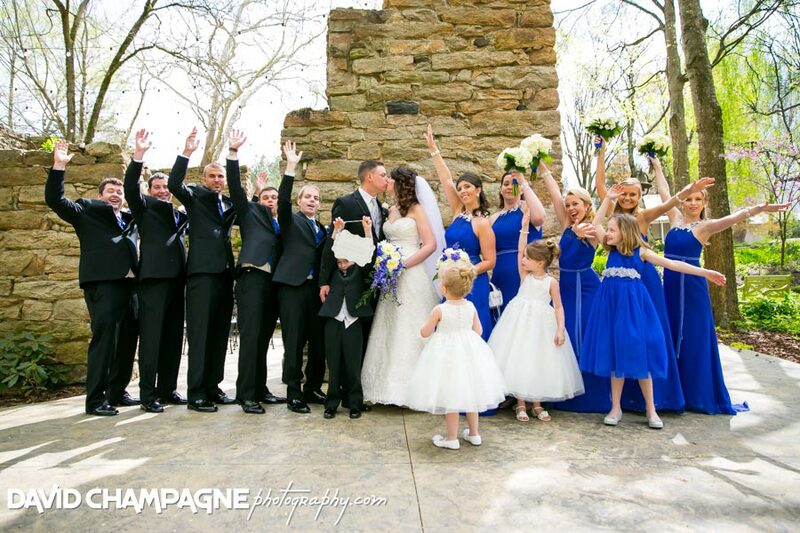 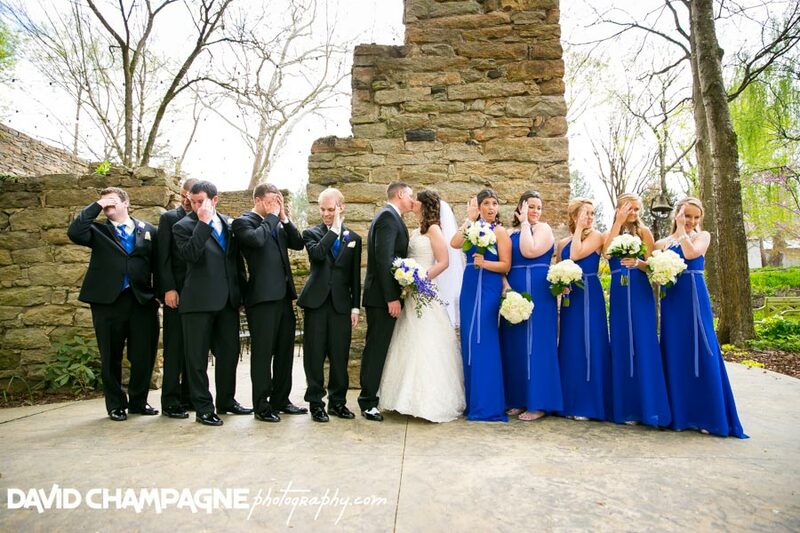 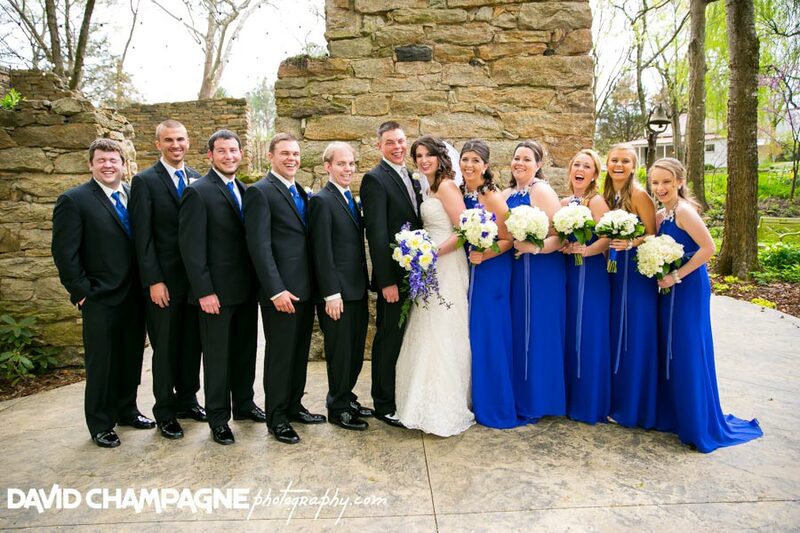 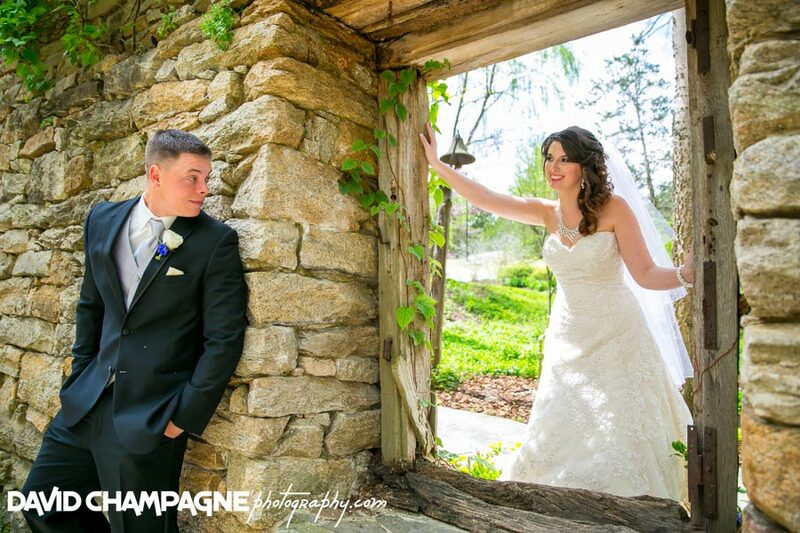 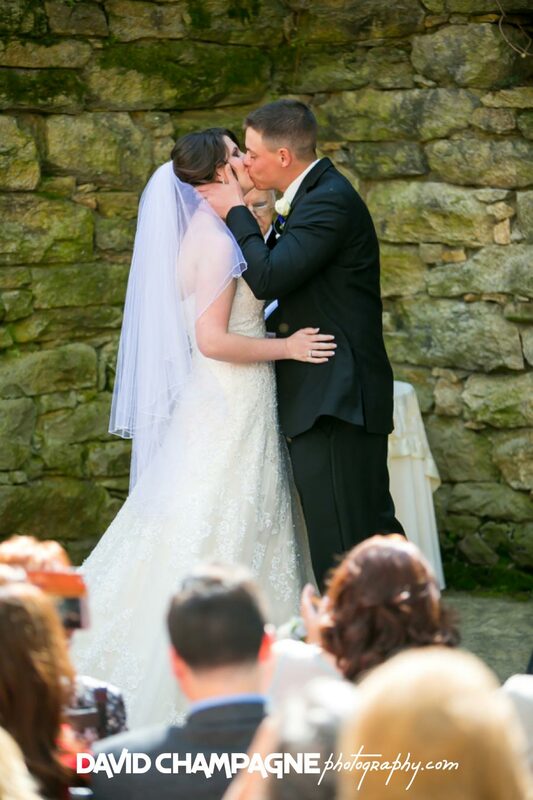 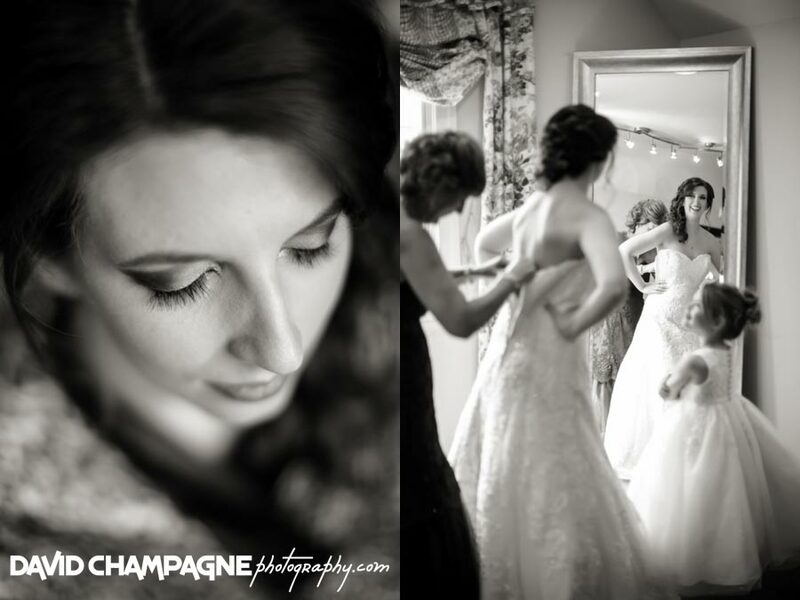 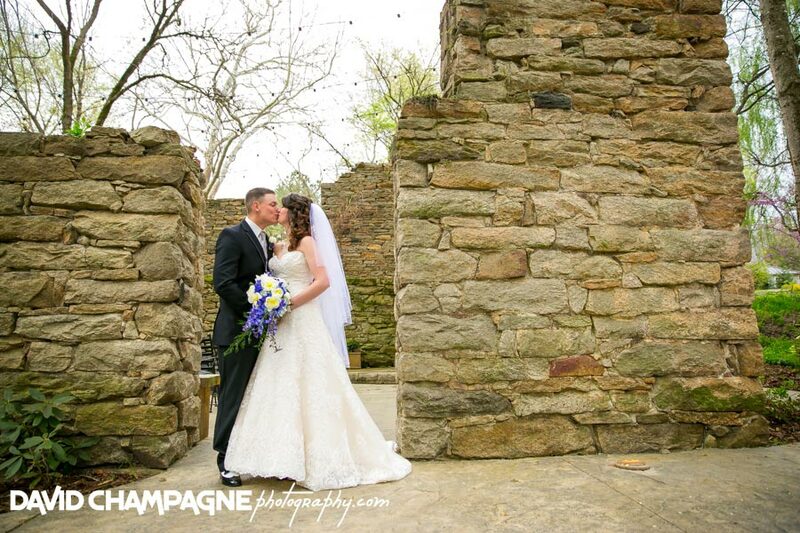 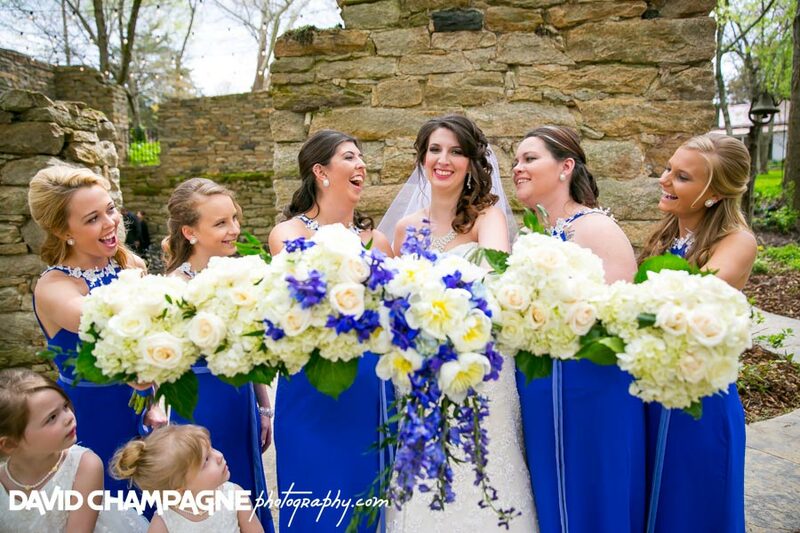 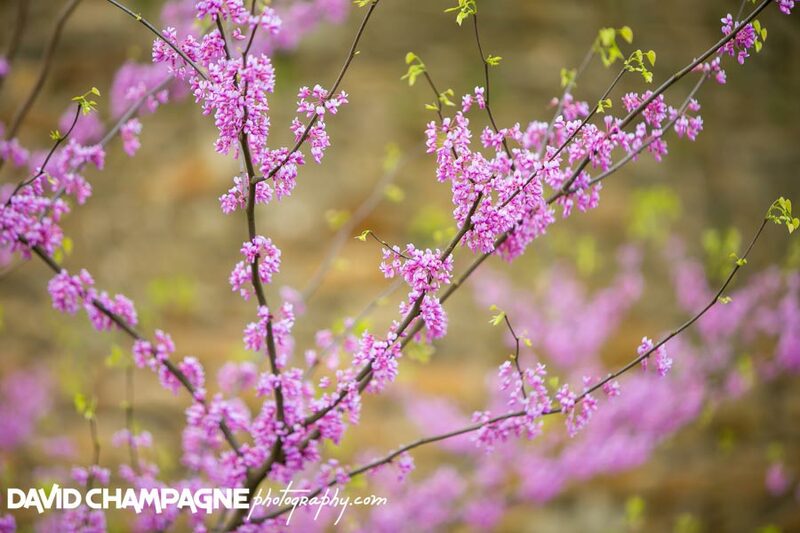 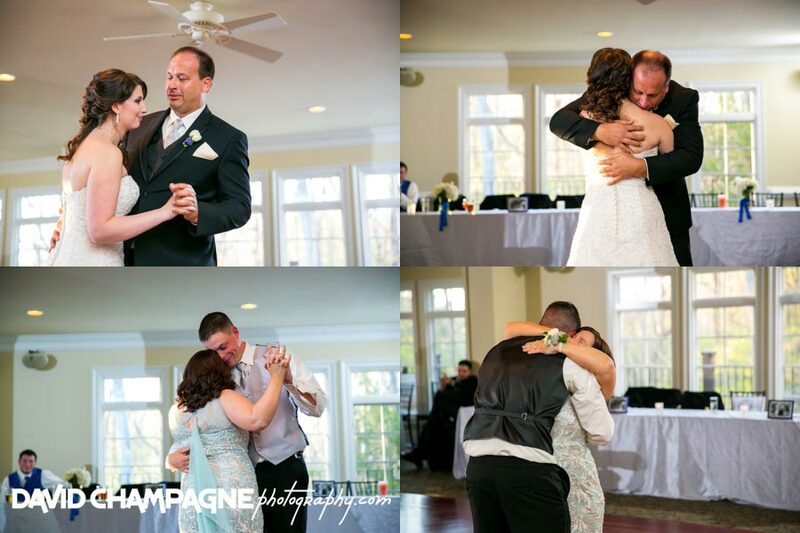 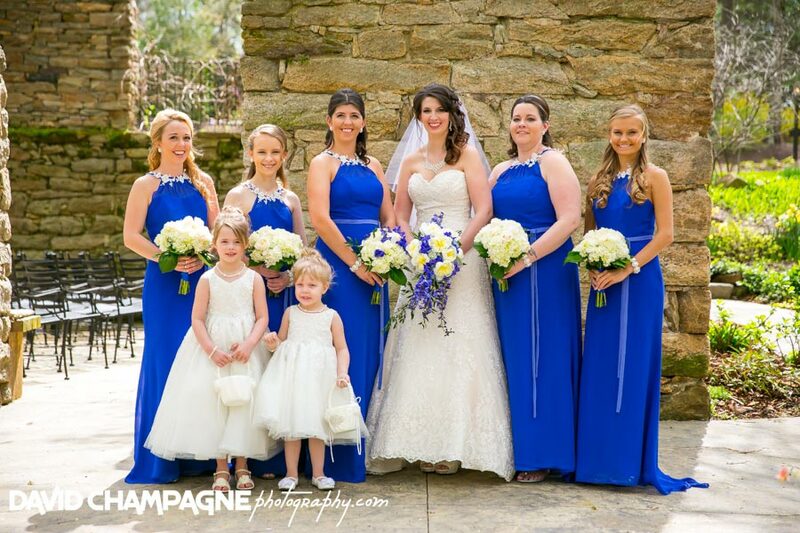 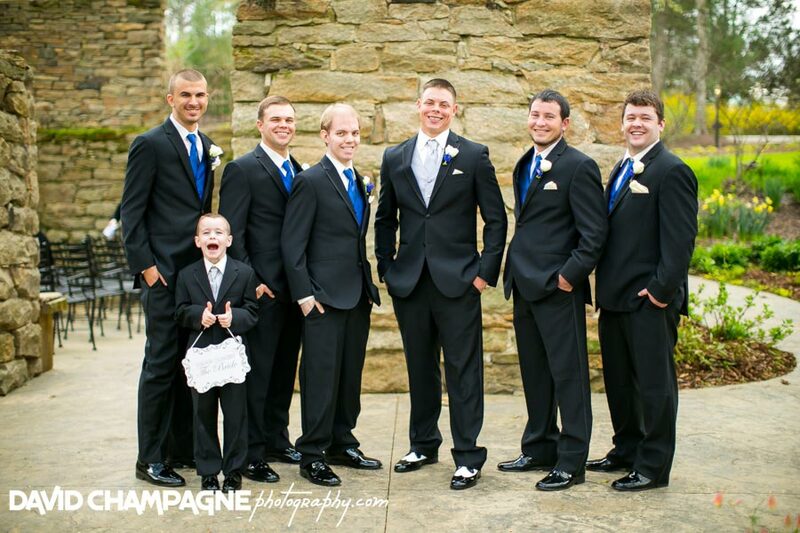 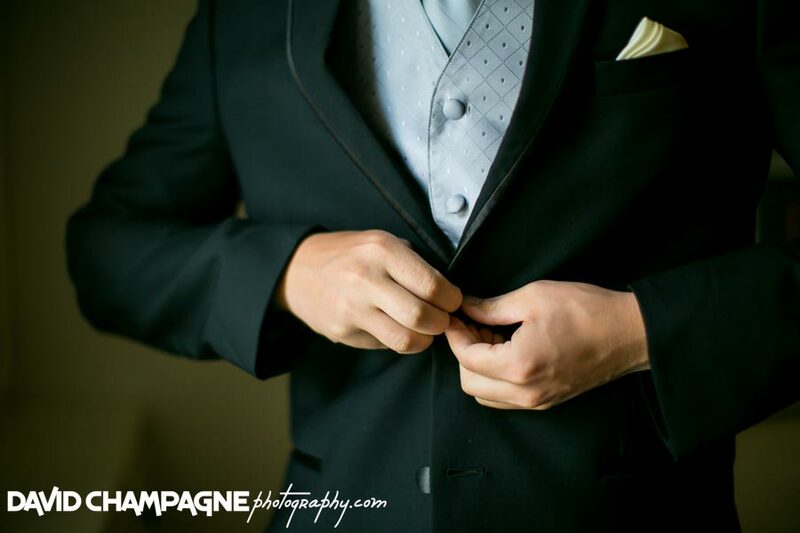 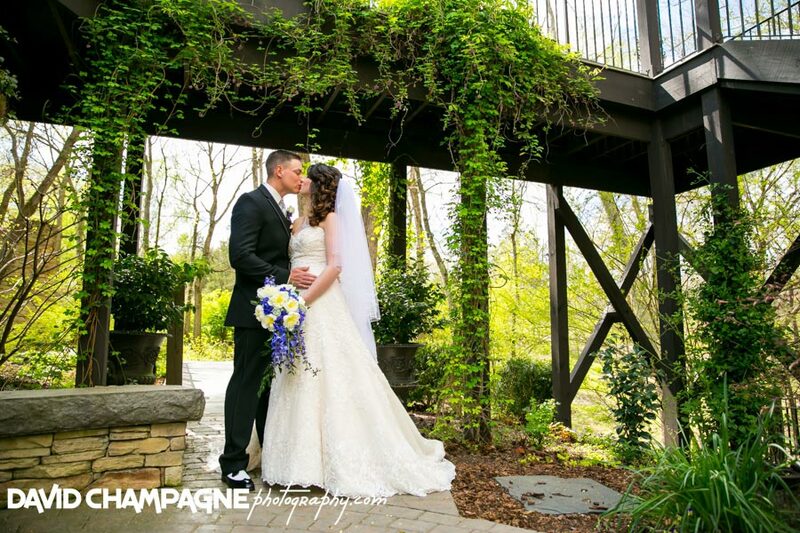 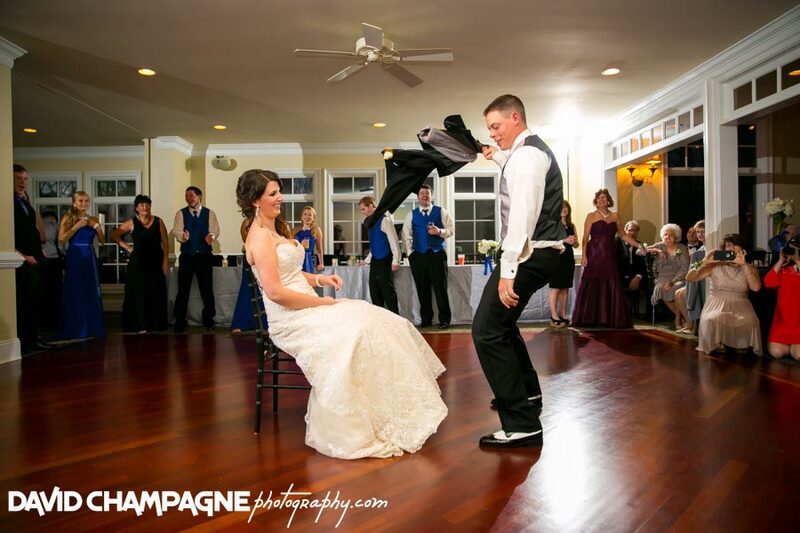 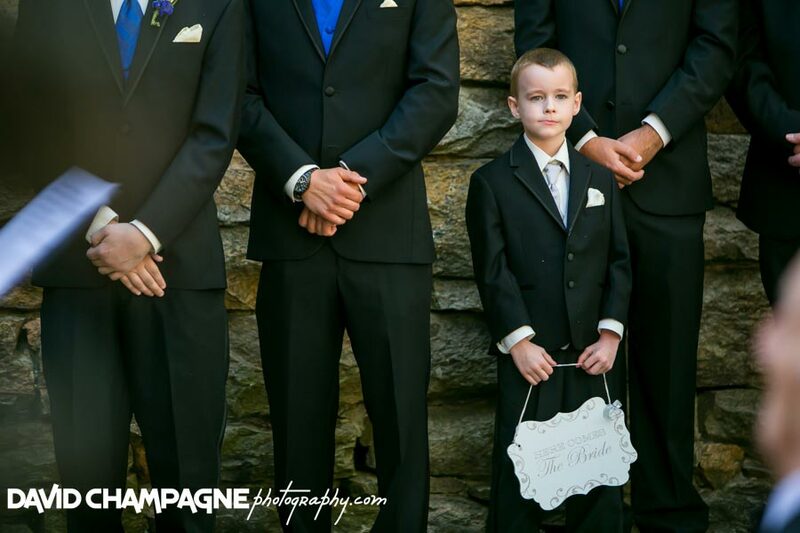 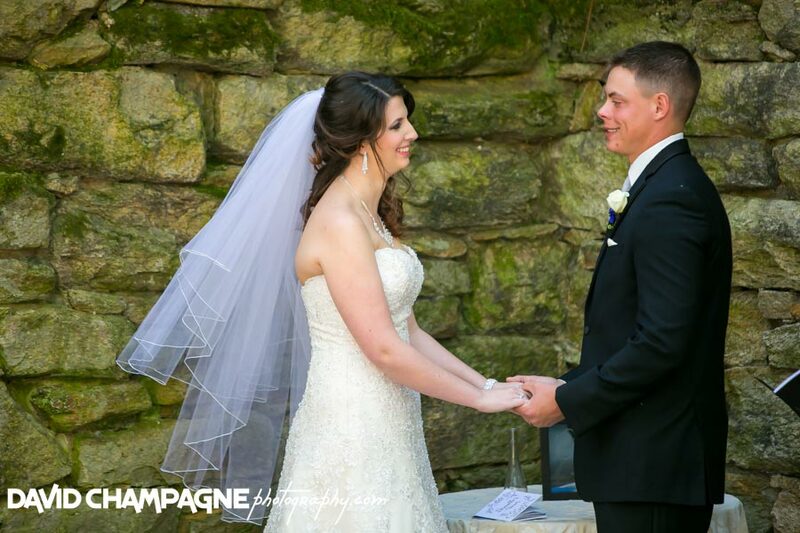 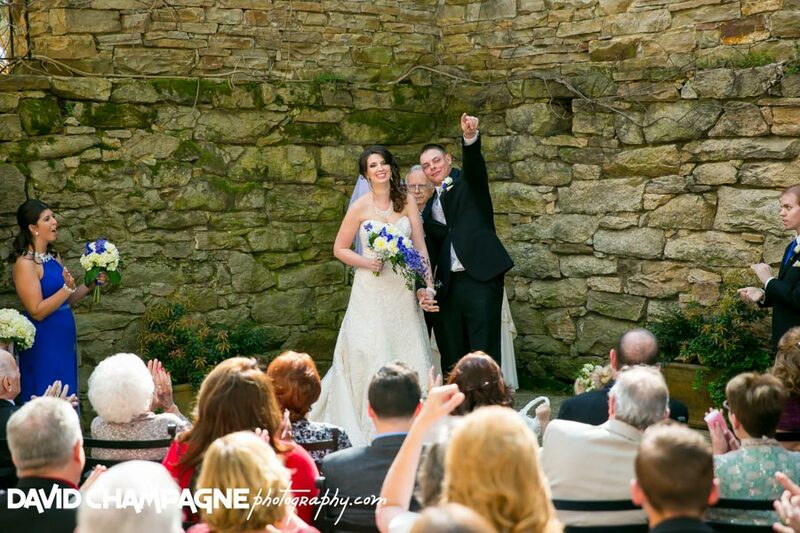 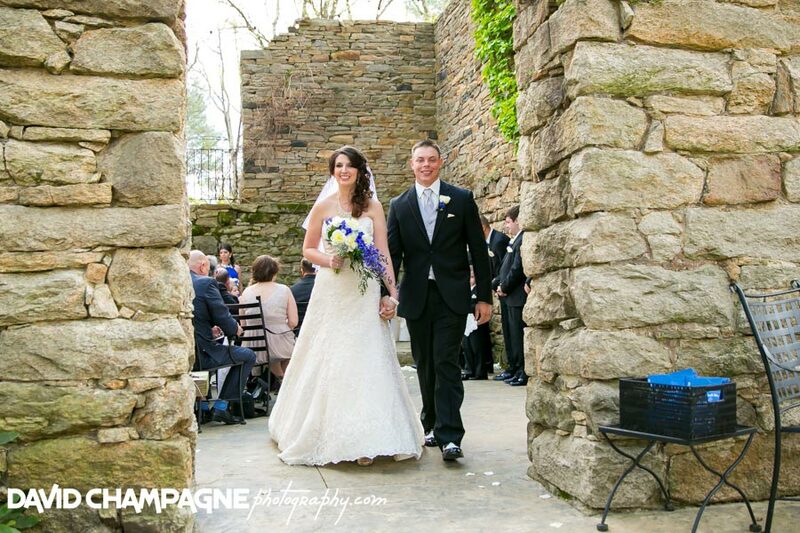 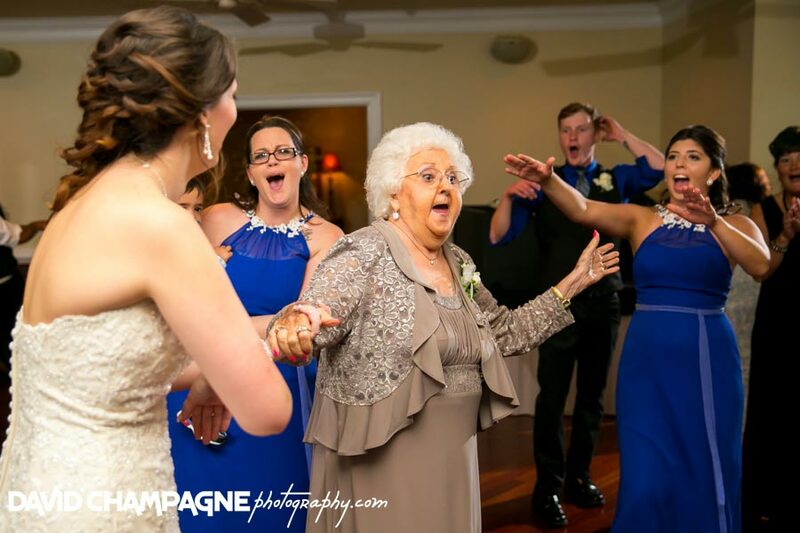 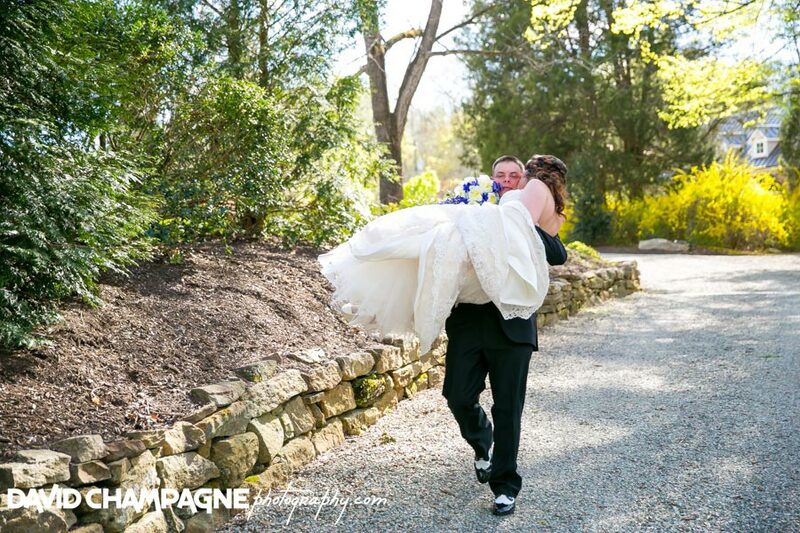 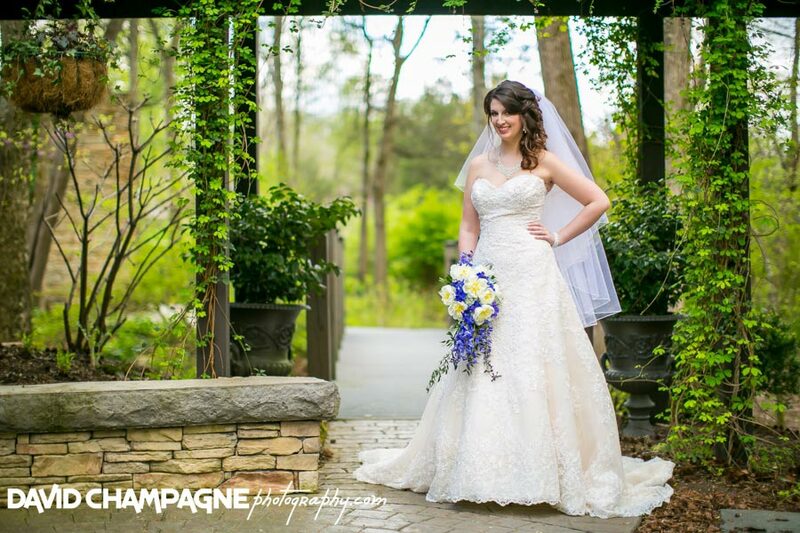 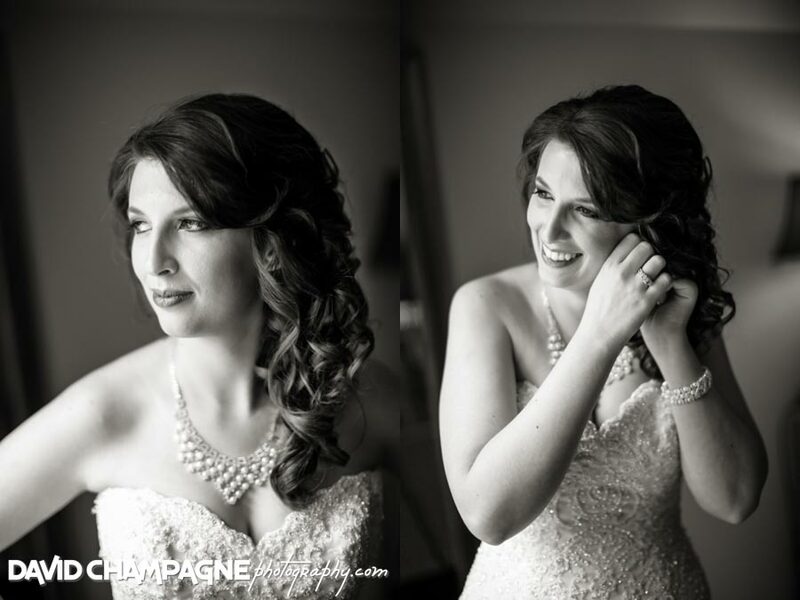 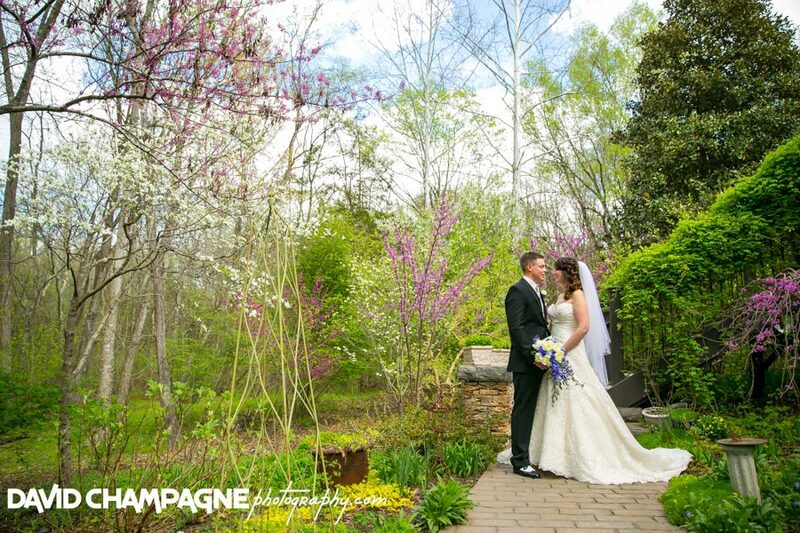 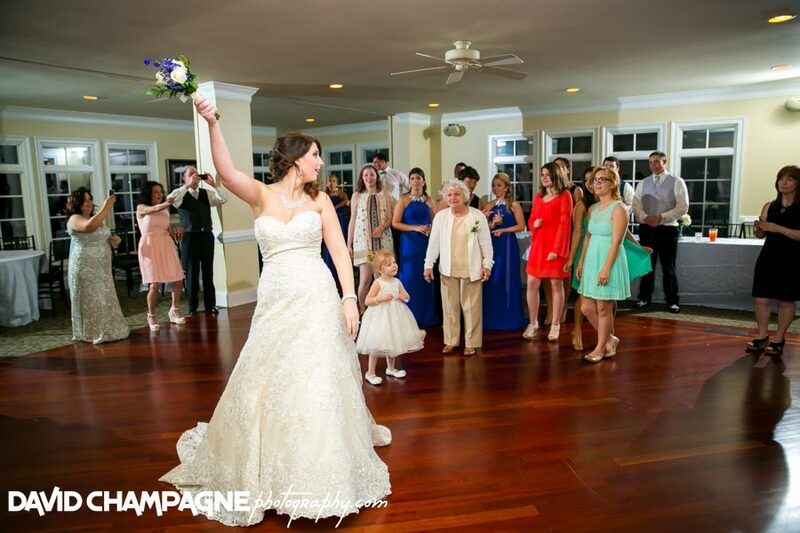 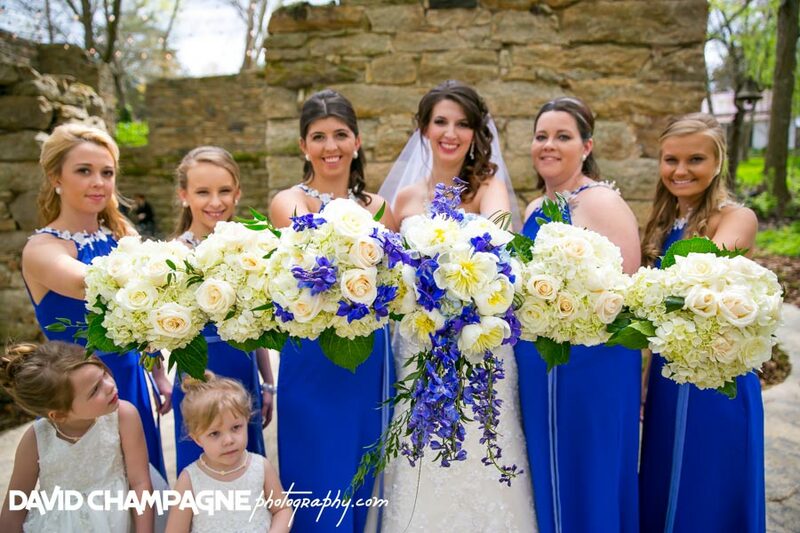 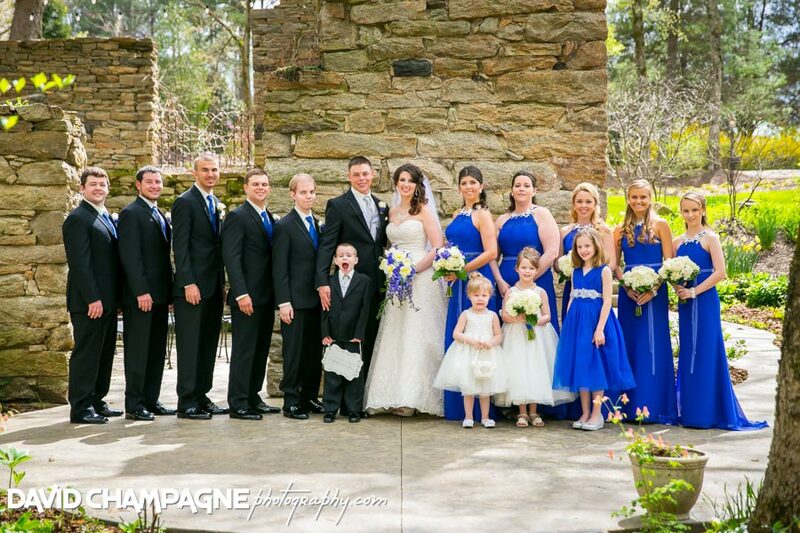 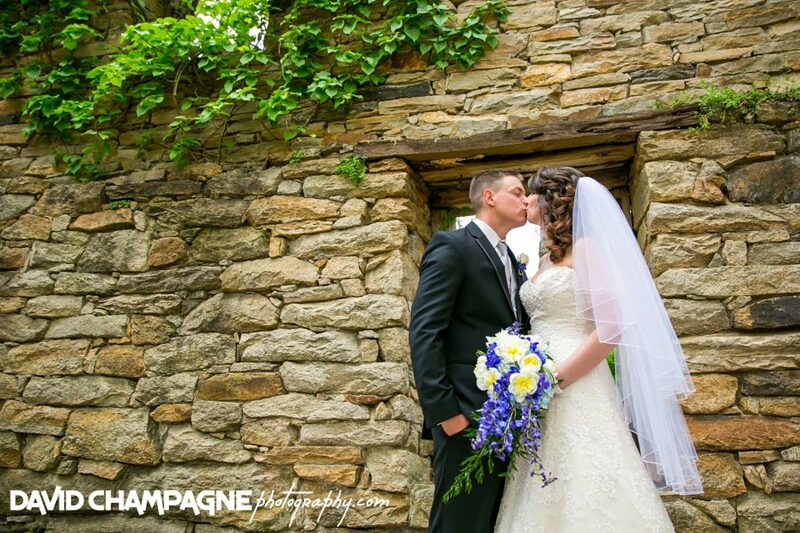 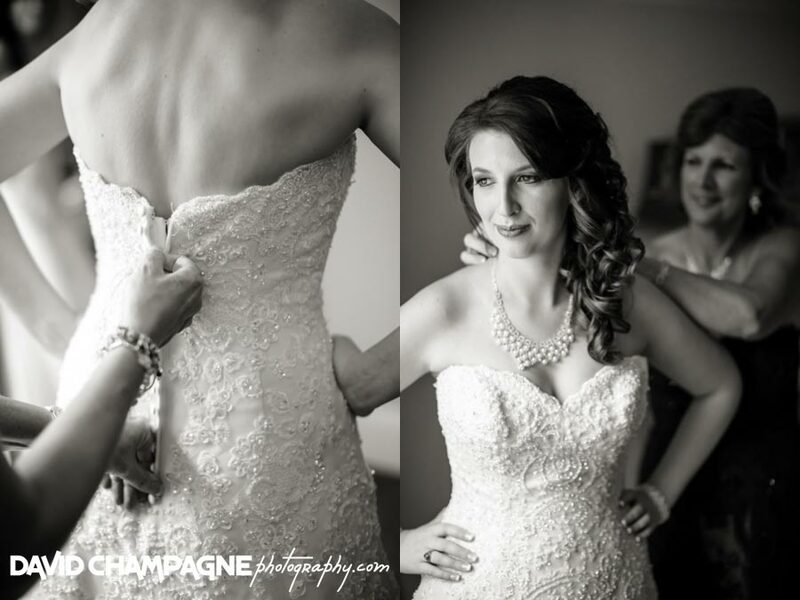 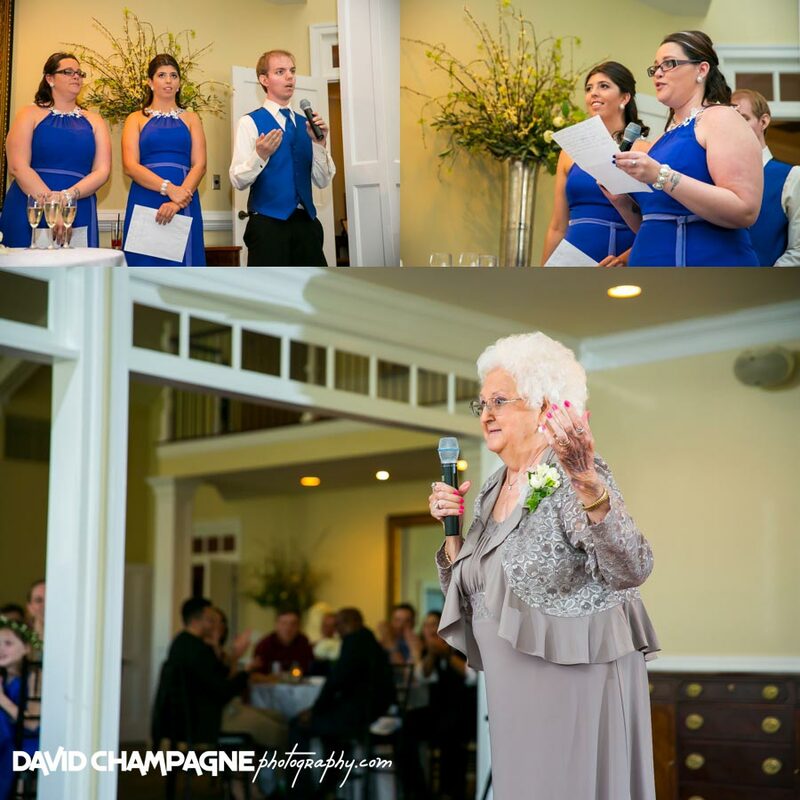 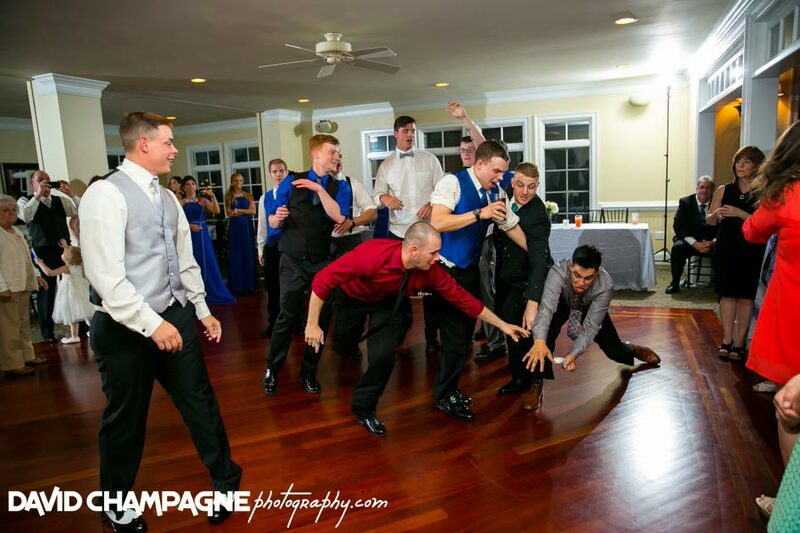 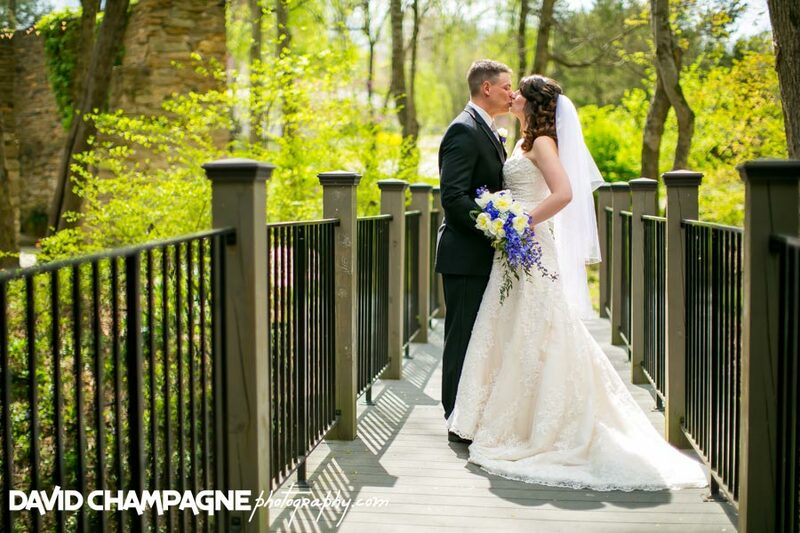 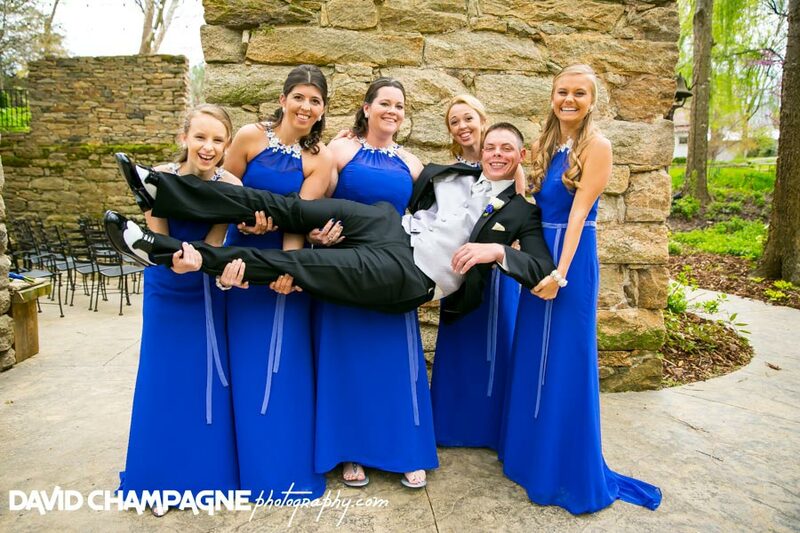 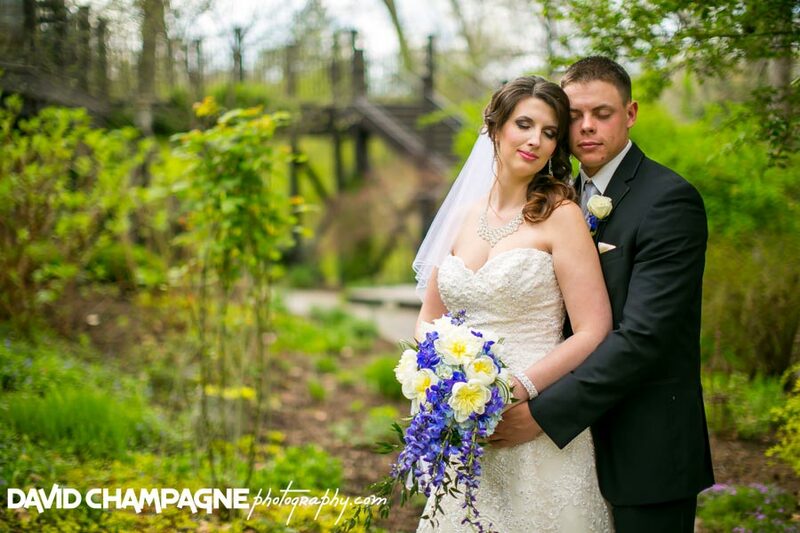 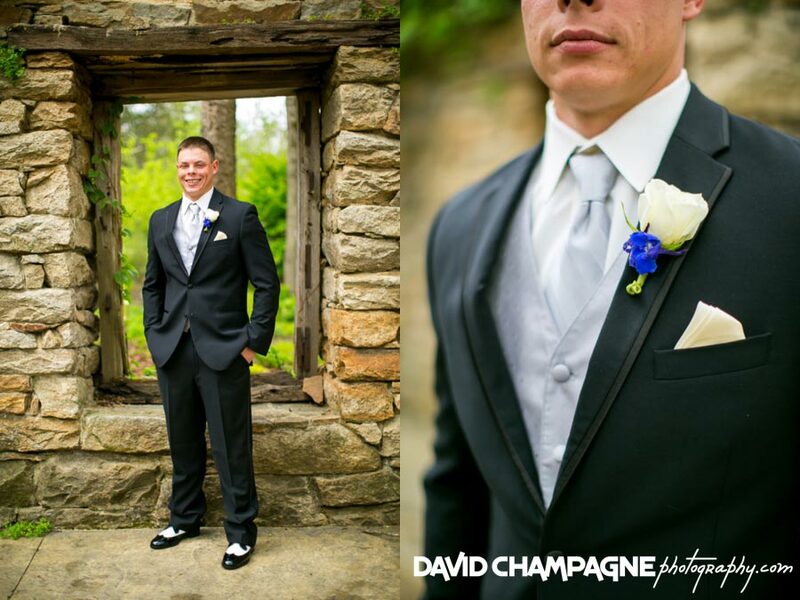 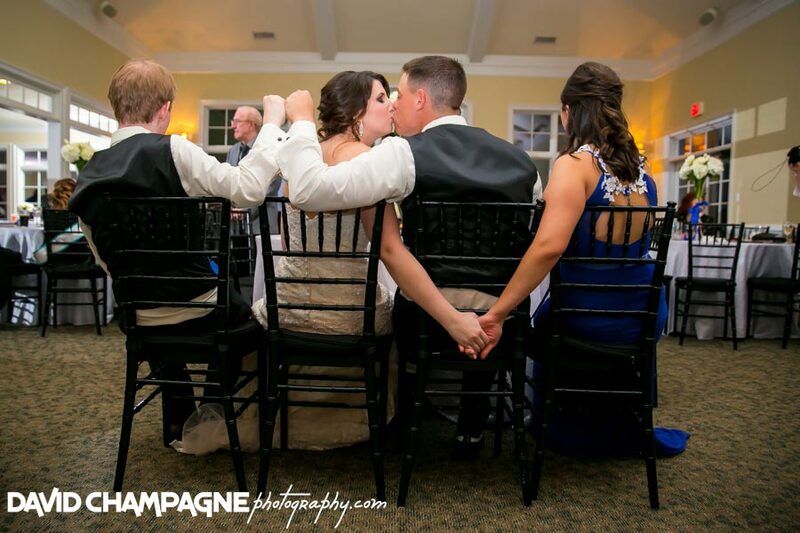 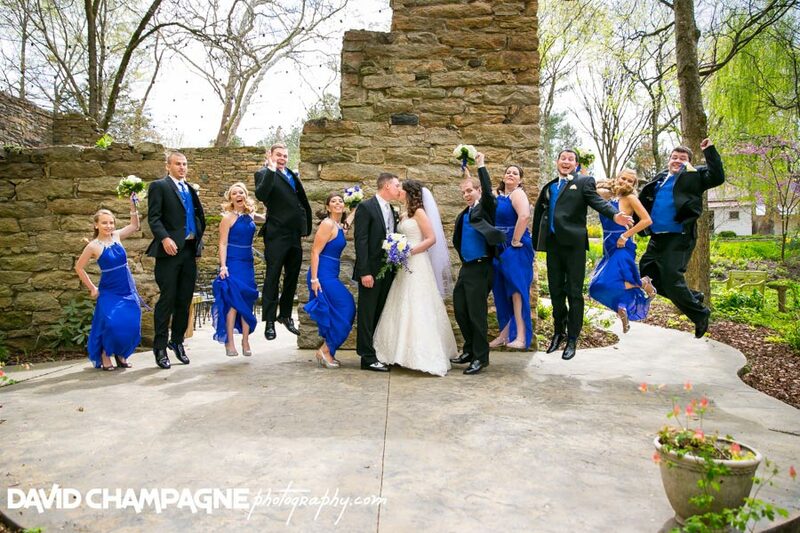 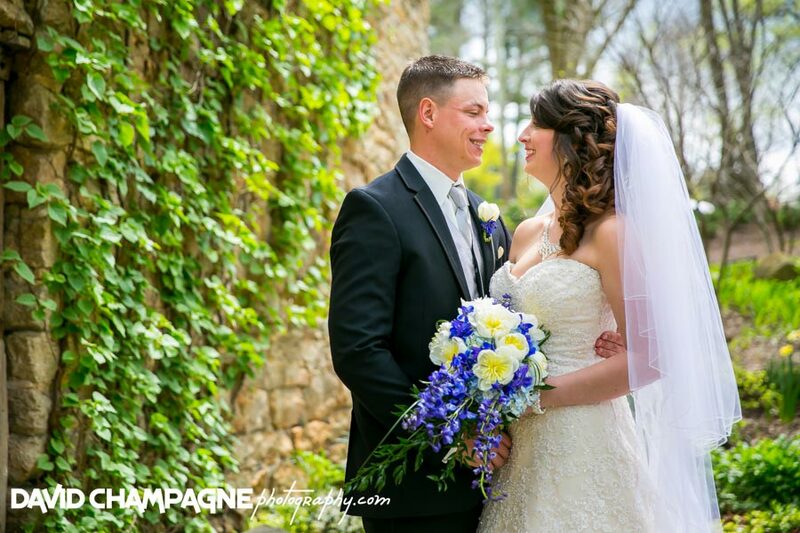 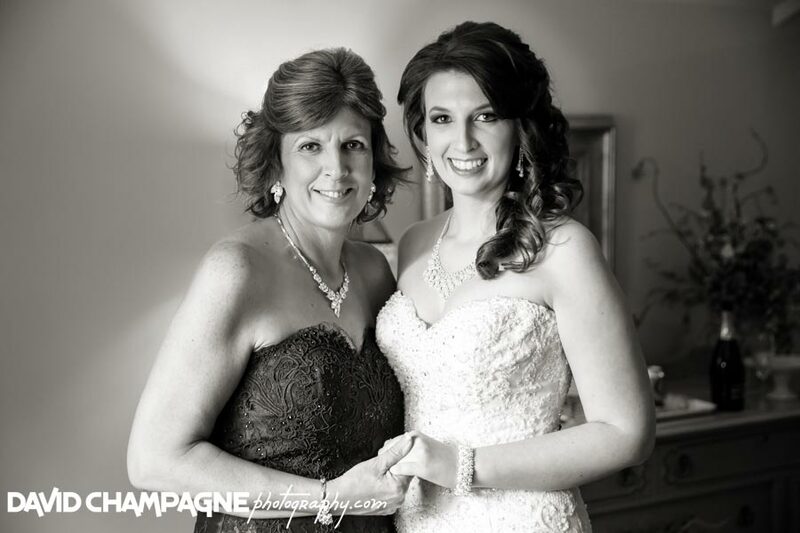 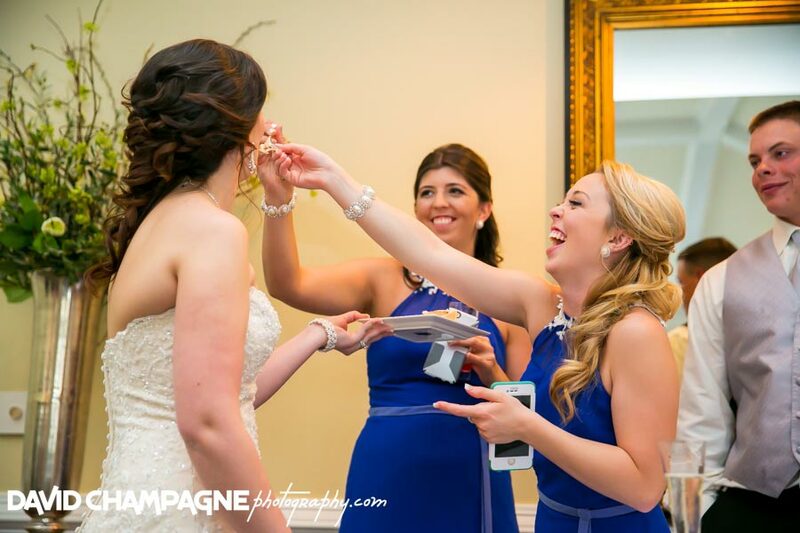 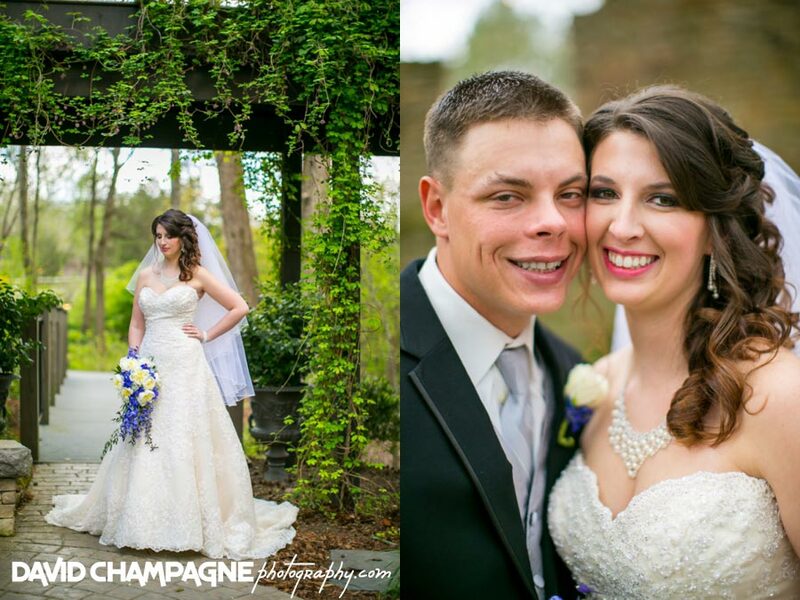 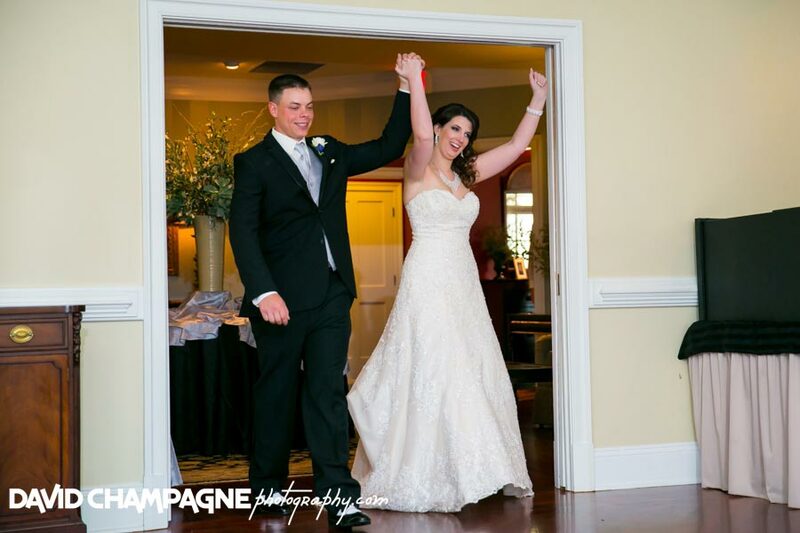 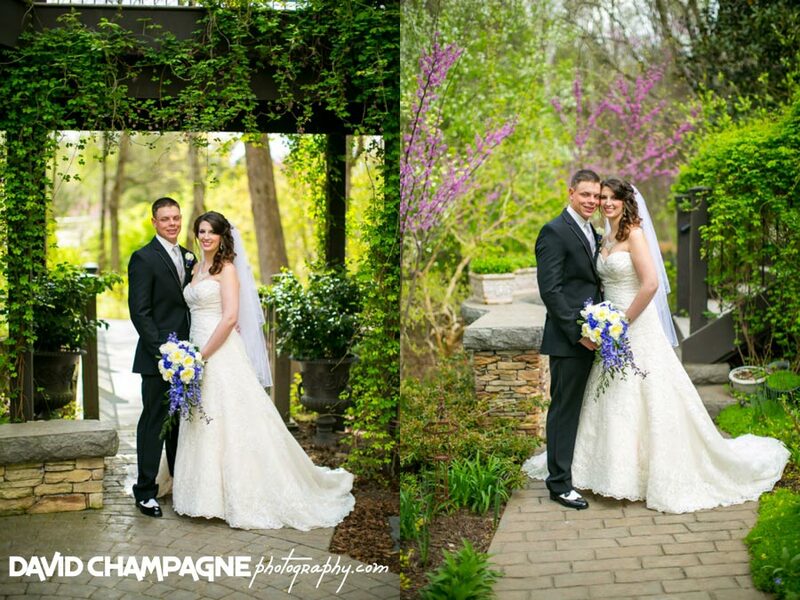 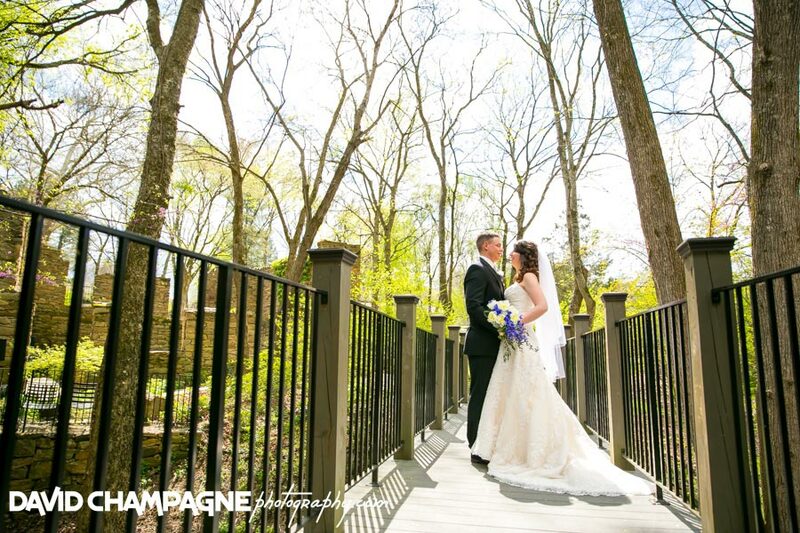 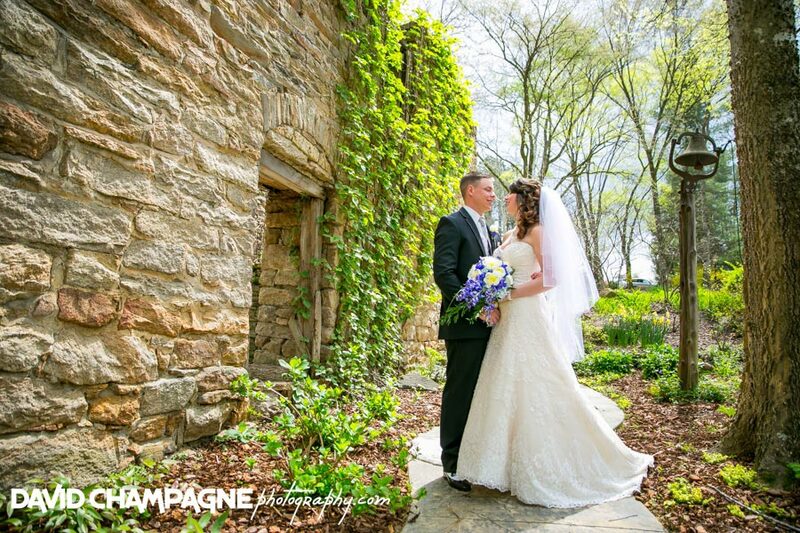 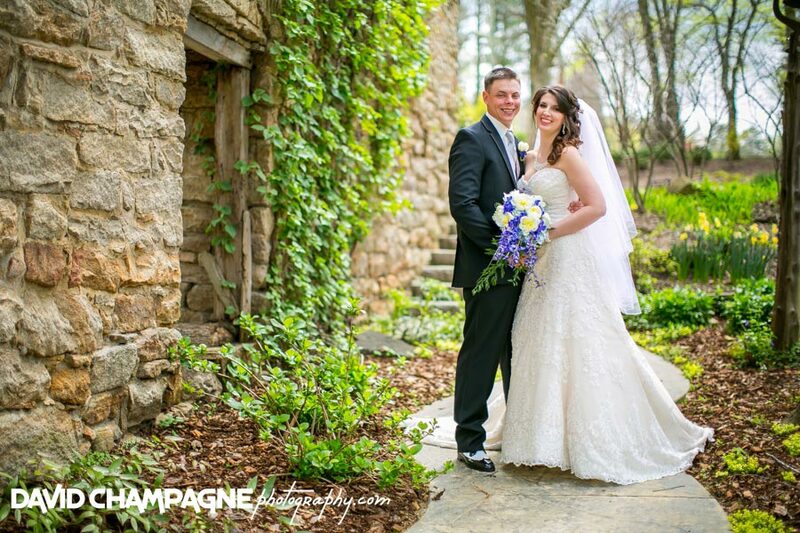 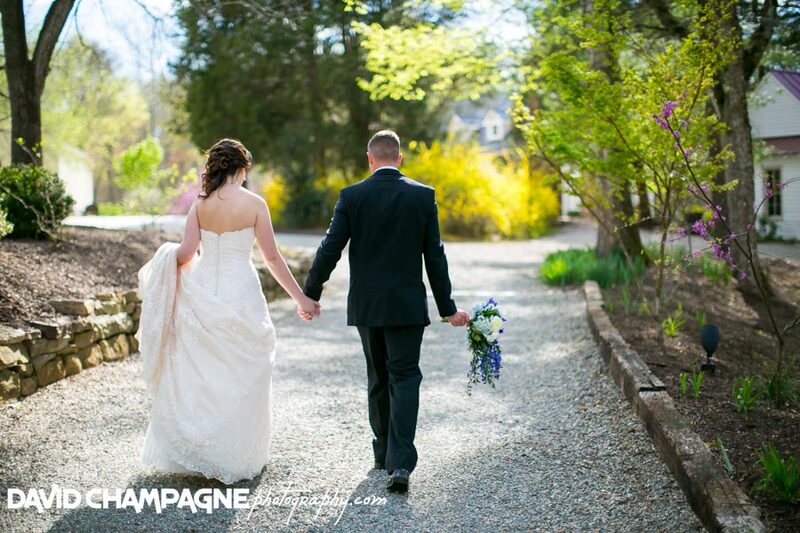 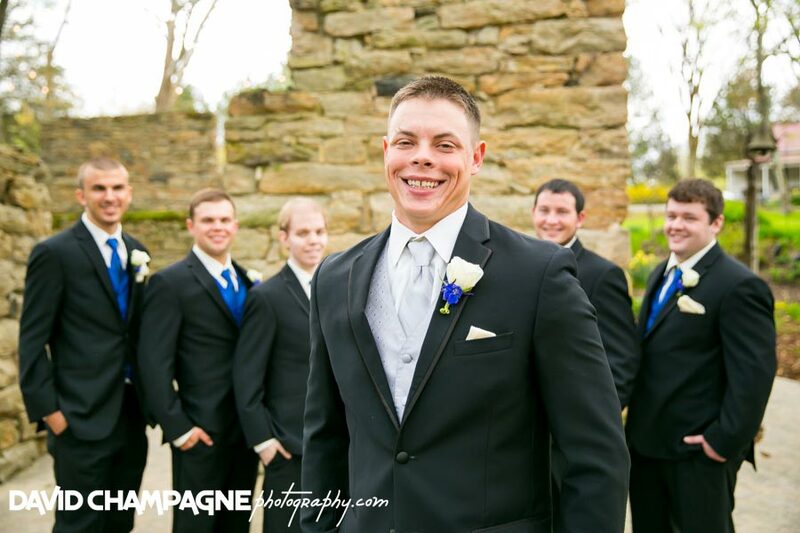 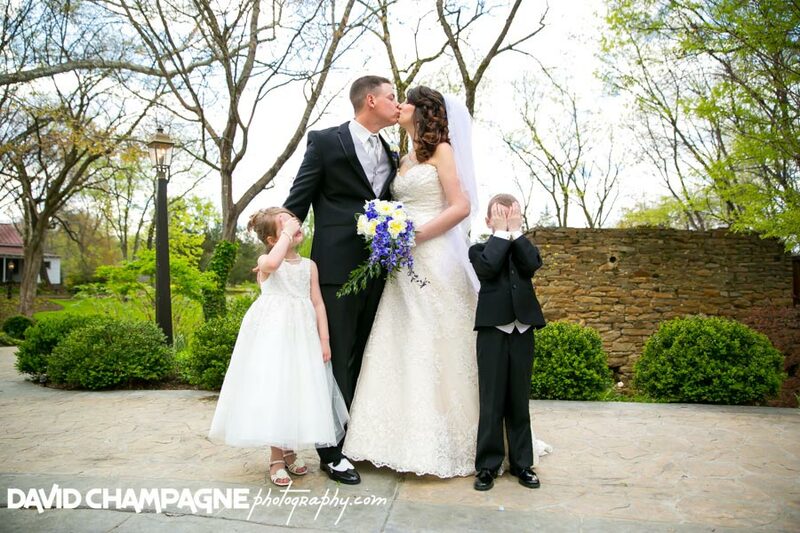 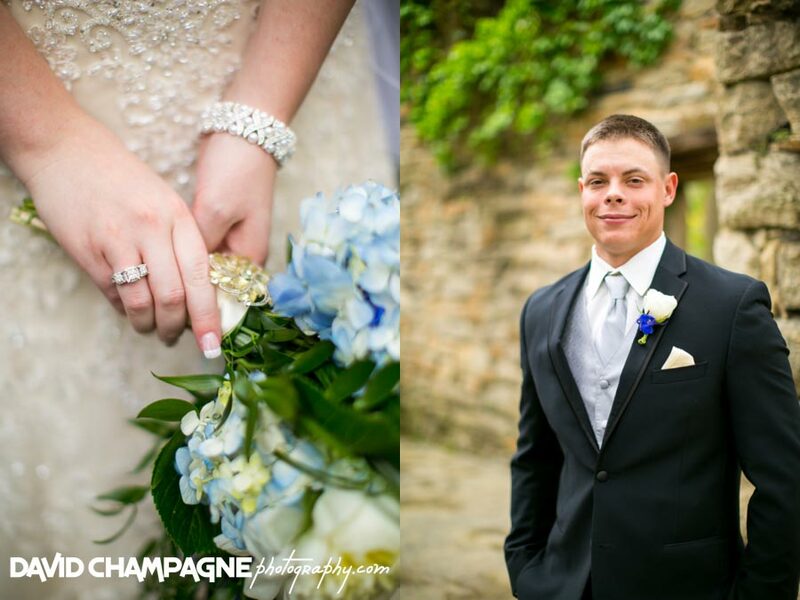 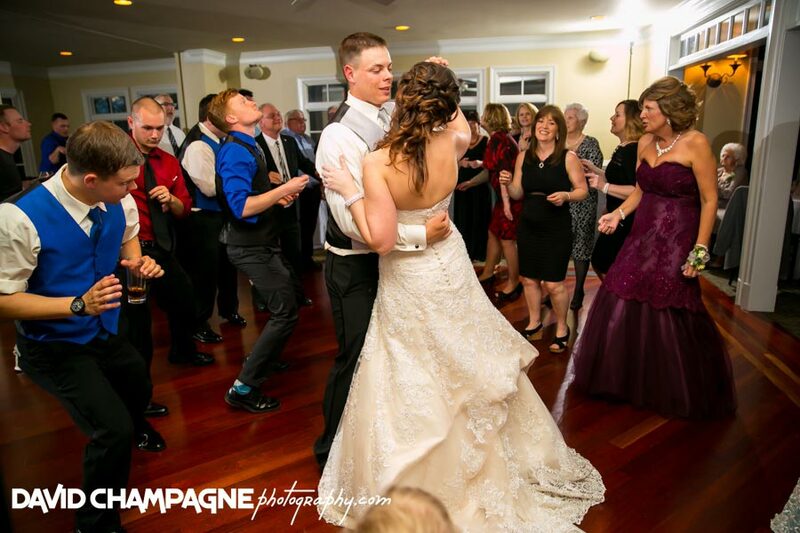 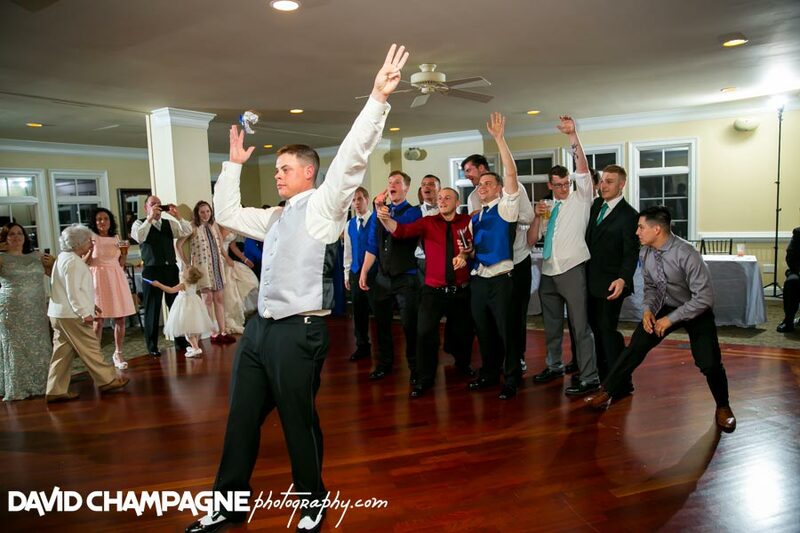 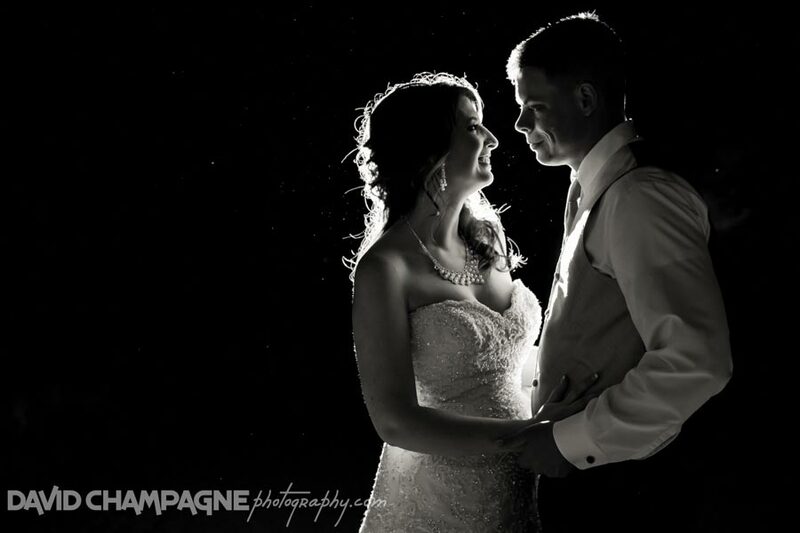 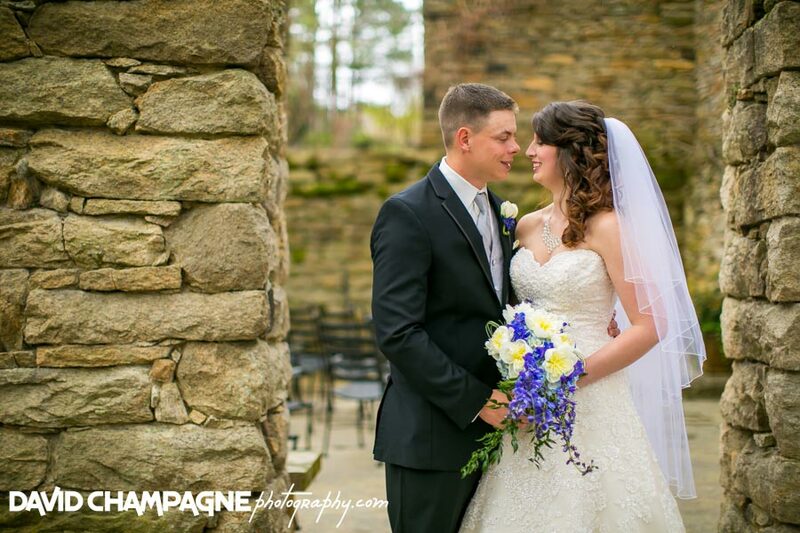 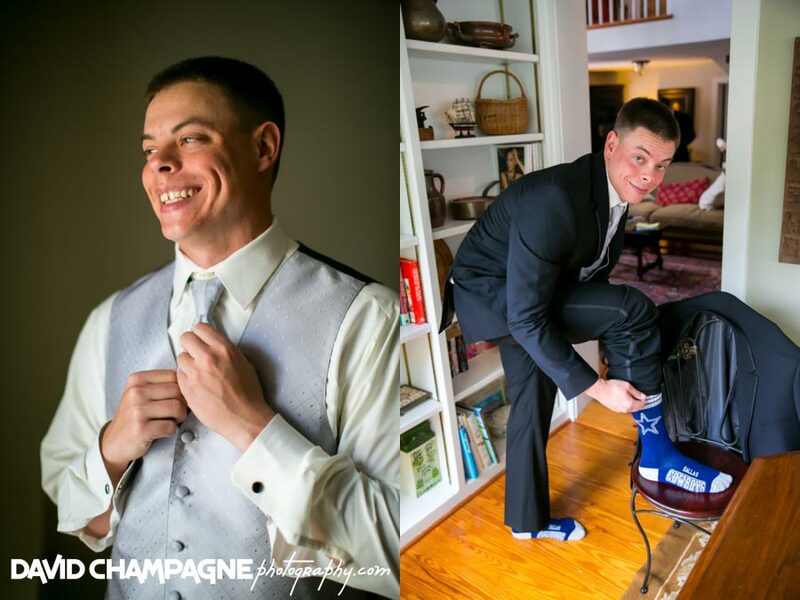 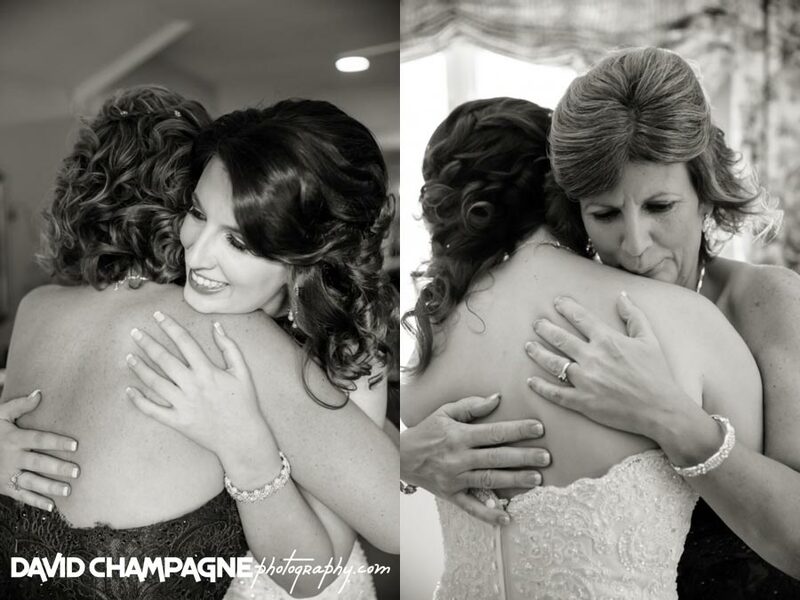 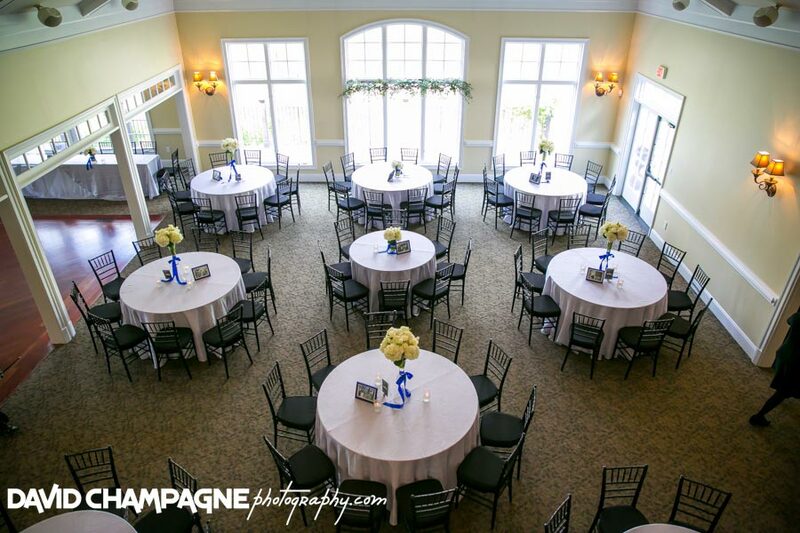 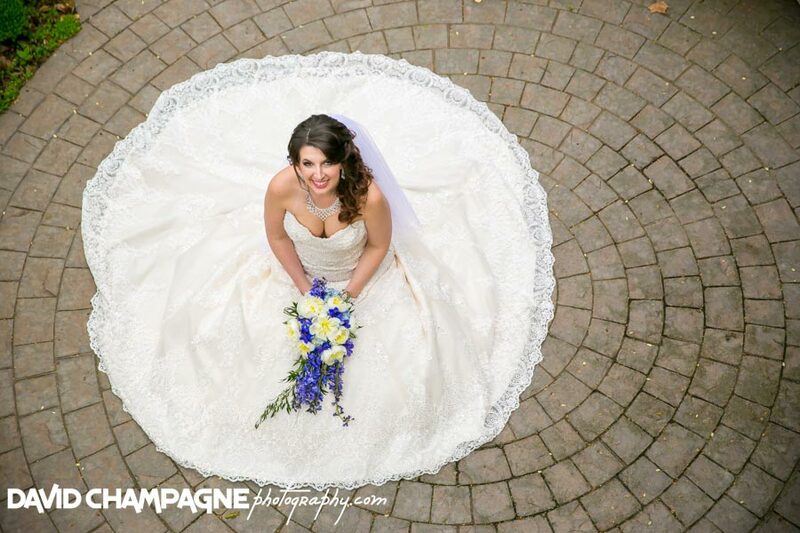 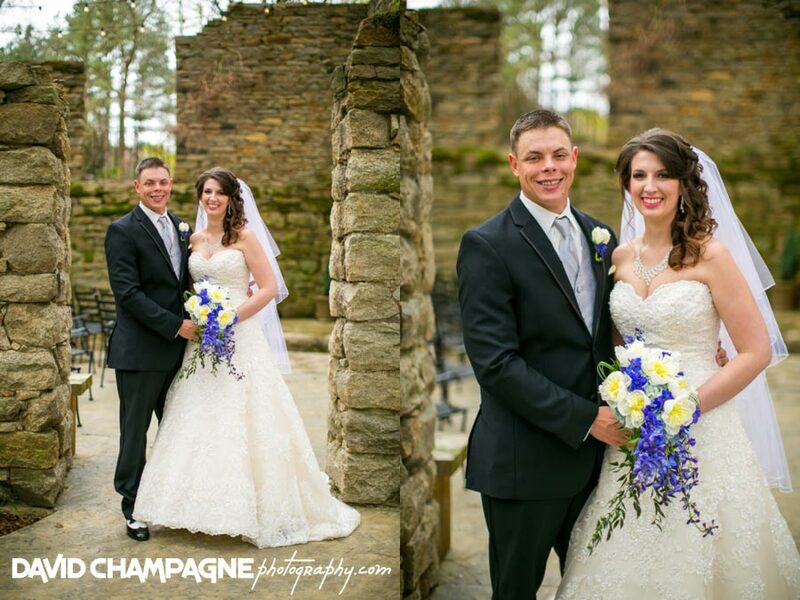 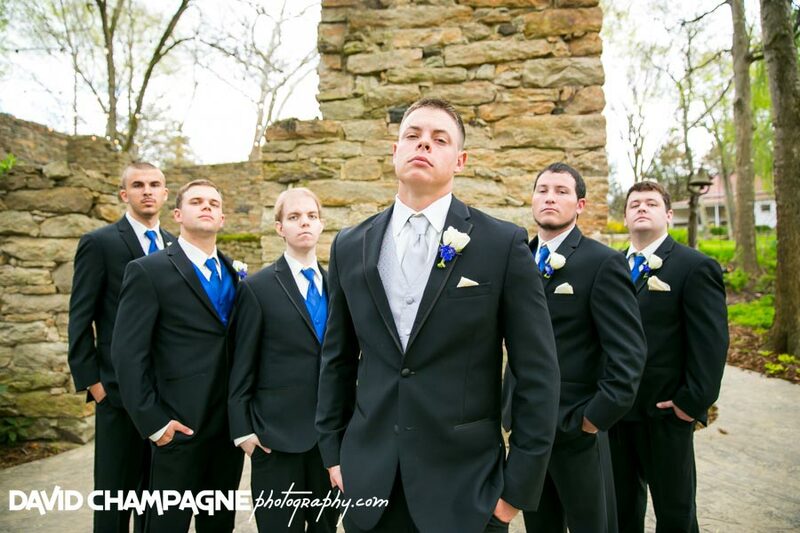 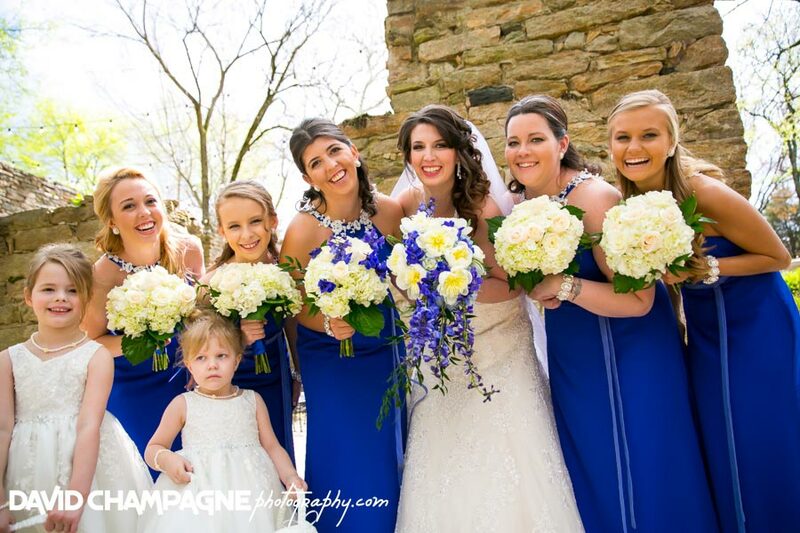 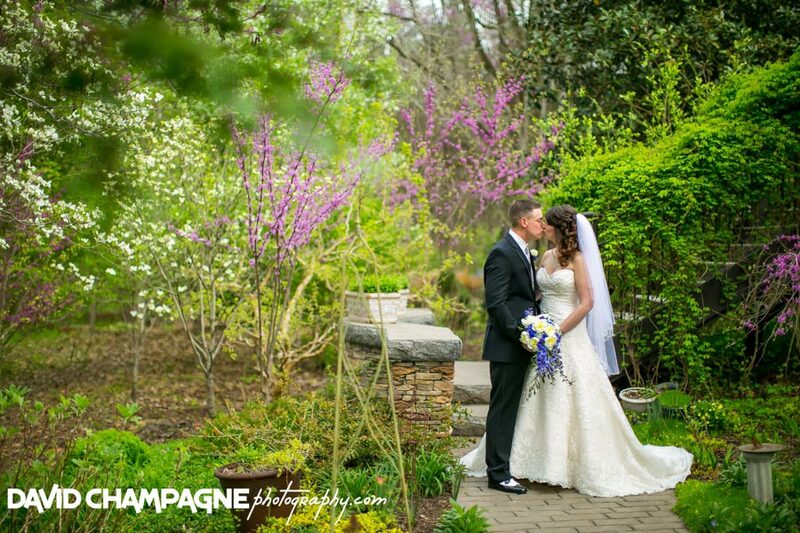 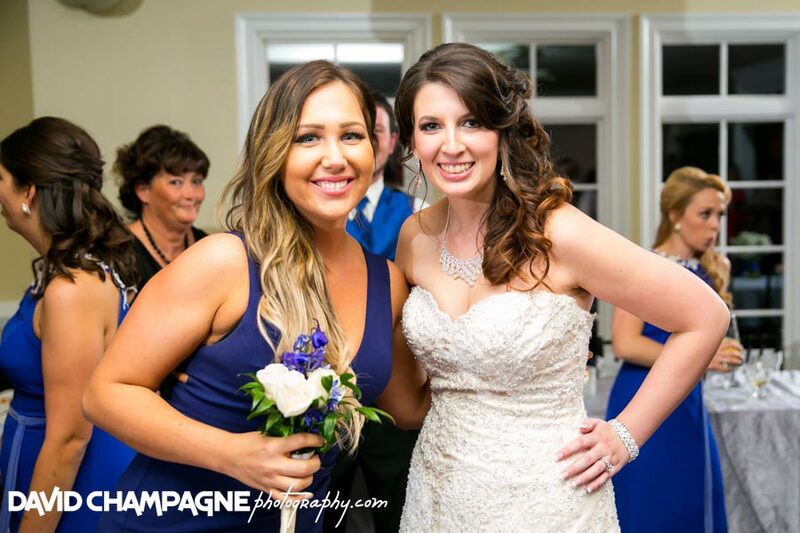 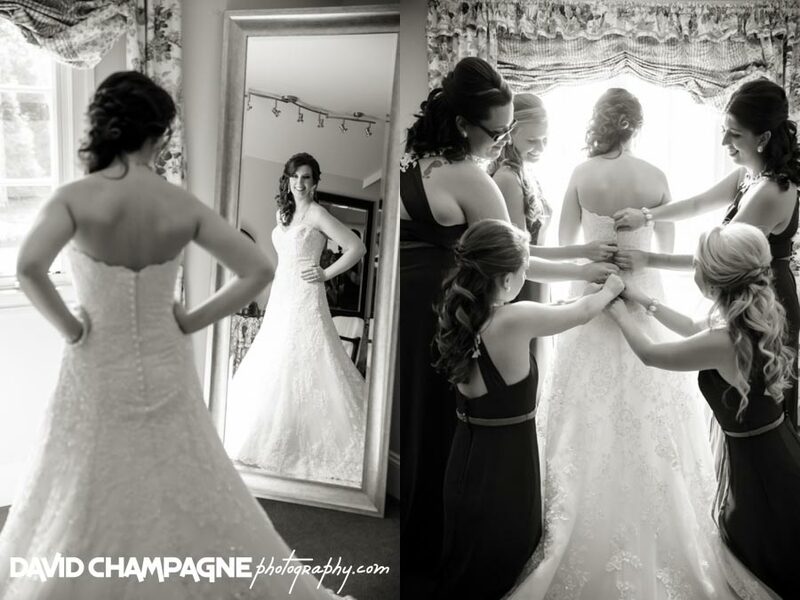 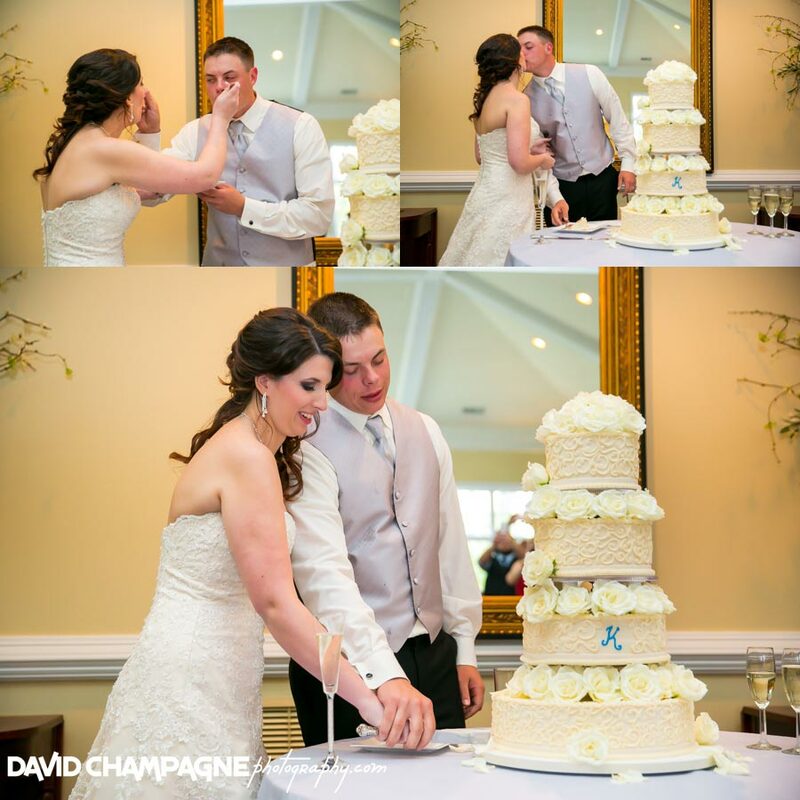 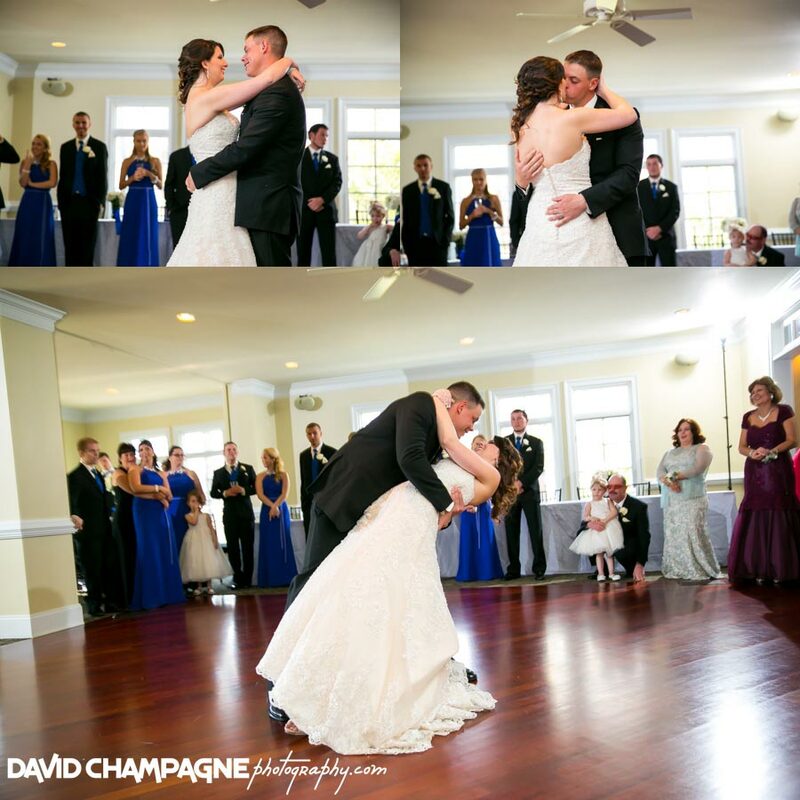 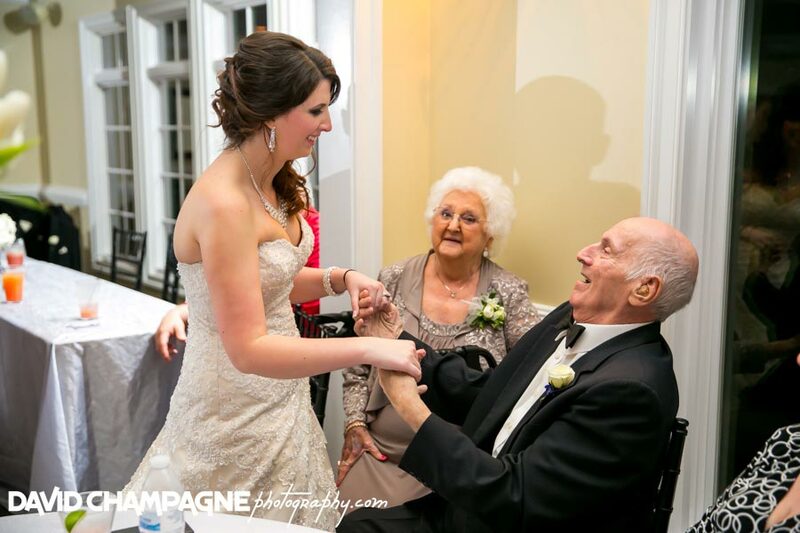 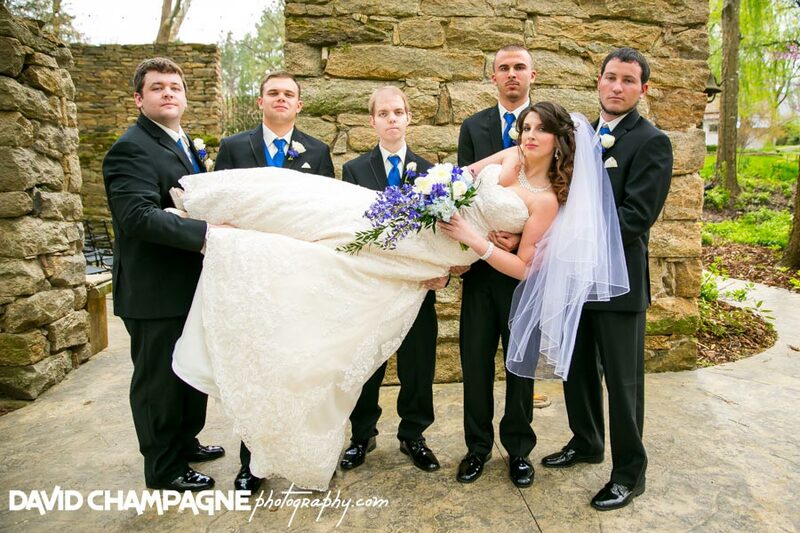 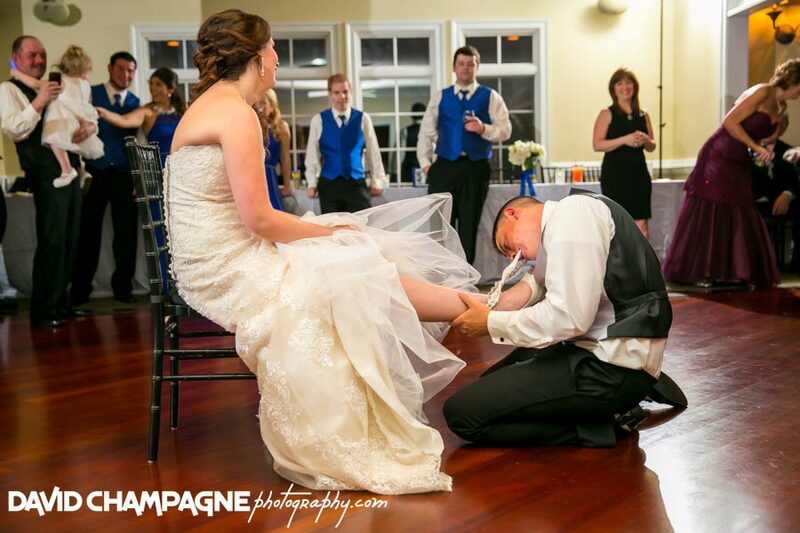 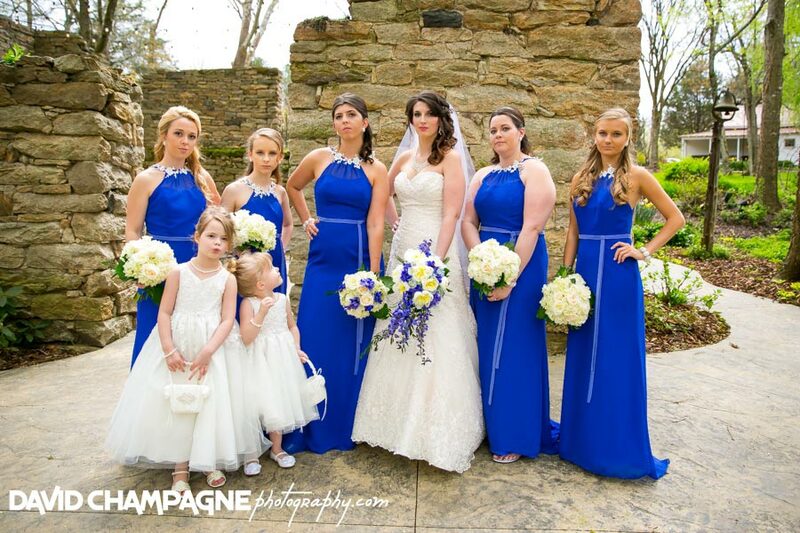 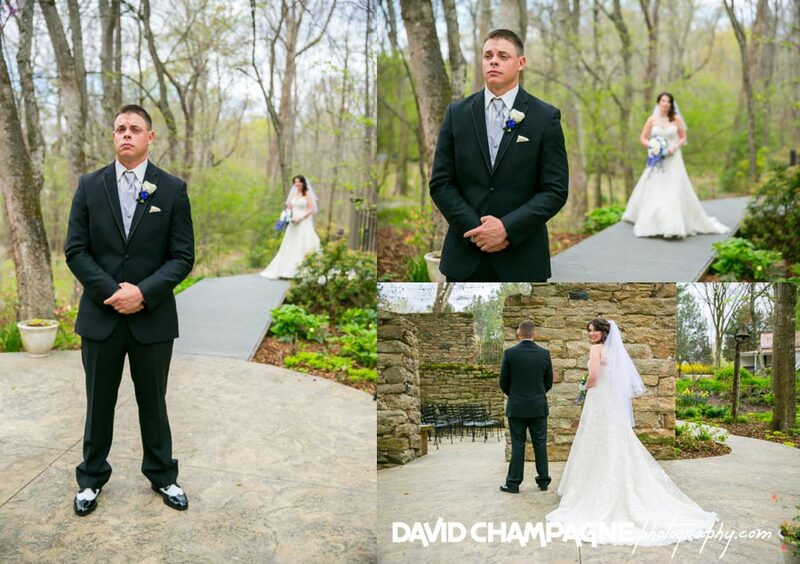 Check out Danielle and Darin’s wedding slideshow!